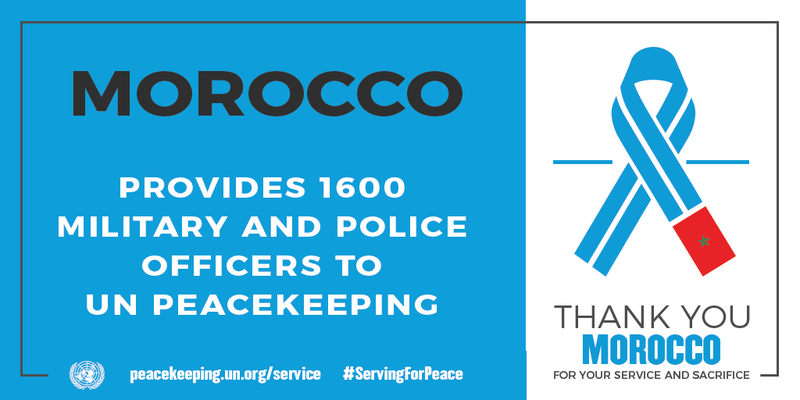 Peacekeepers serving under the UN flag work in difficult and dangerous environments, risking their lives to protect some of the world’s most vulnerable people. 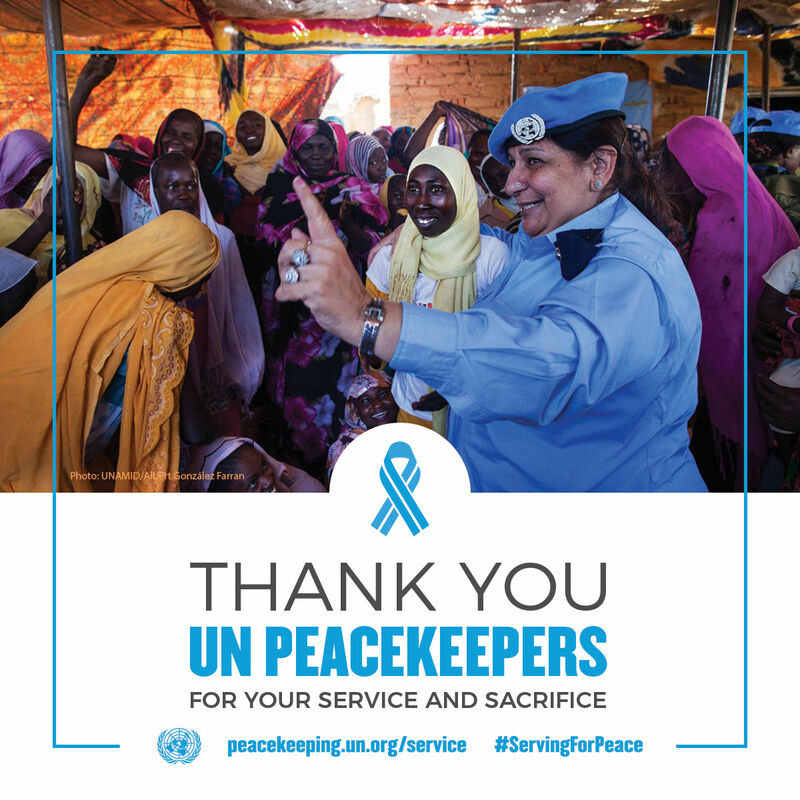 Since 1948, more than a million women and men have served as UN peacekeepers. 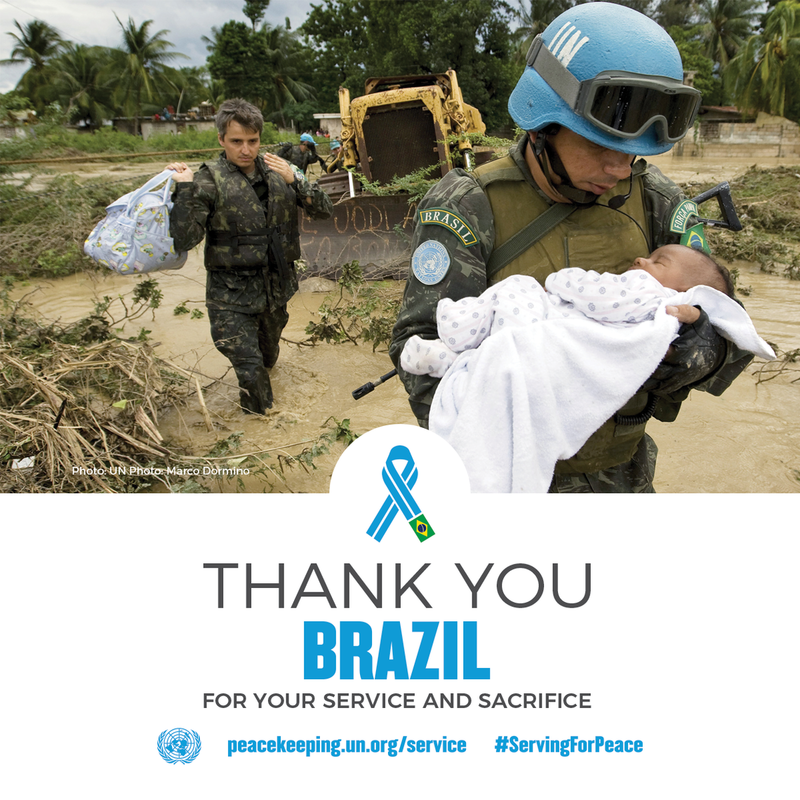 Every day, they make a tangible difference in the lives of millions of the world’s most vulnerable people, and every day they save lives. 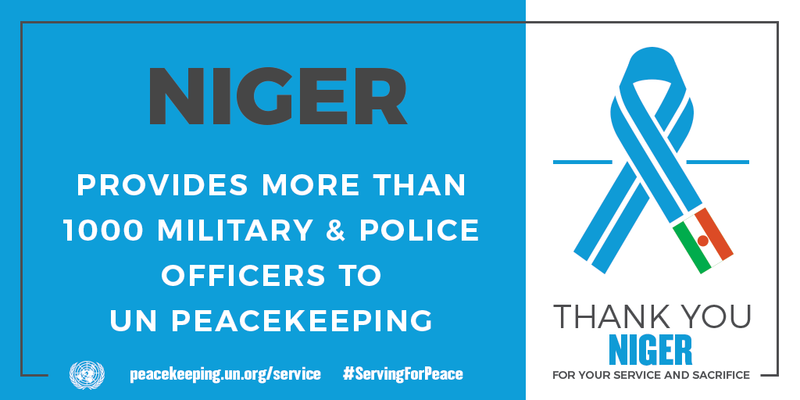 In places like the Central African Republic and South Sudan, our peacekeepers protect civilians against violent attacks and support the delivery of crucial humanitarian assistance. 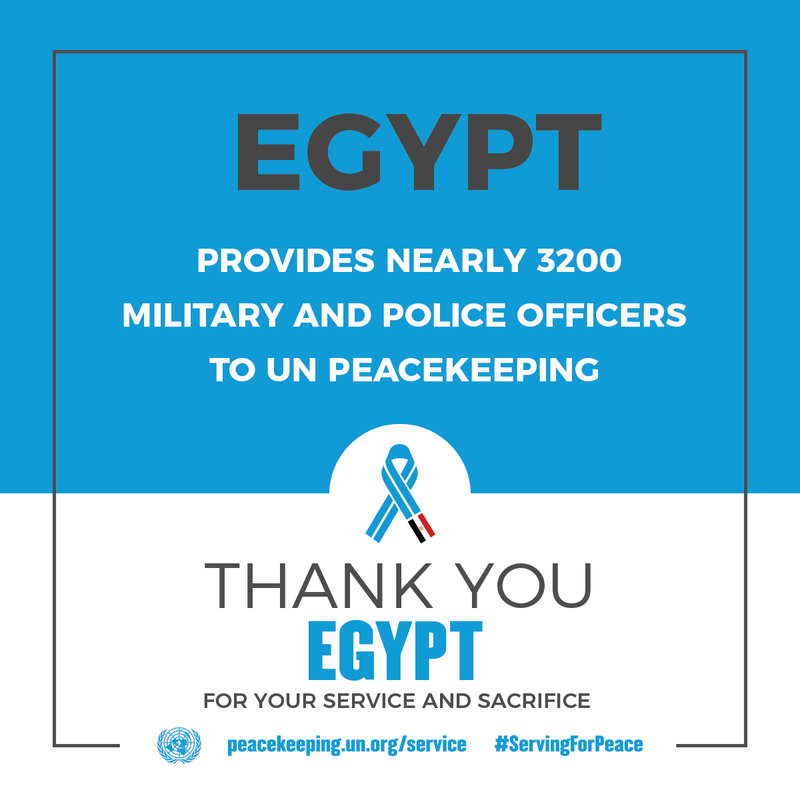 I thank our troop- and police-contributing countries for their generosity, and pay tribute to all personnel who have given their lives in the line of duty. 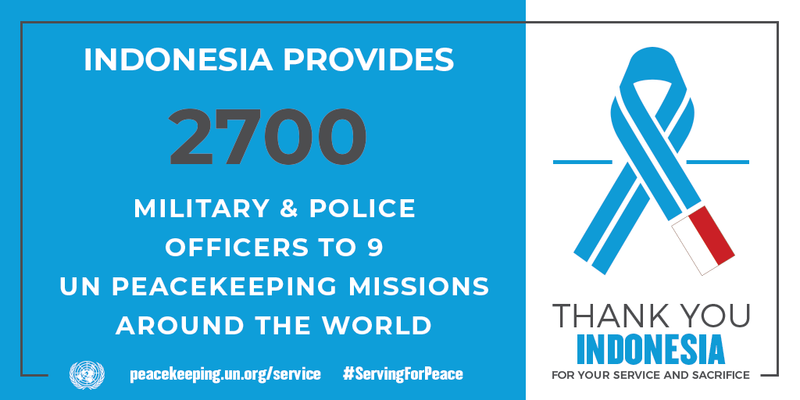 Peacekeeping is a unique force for good, with military and police personnel from over 120 countries serving together, alongside civilian colleagues. 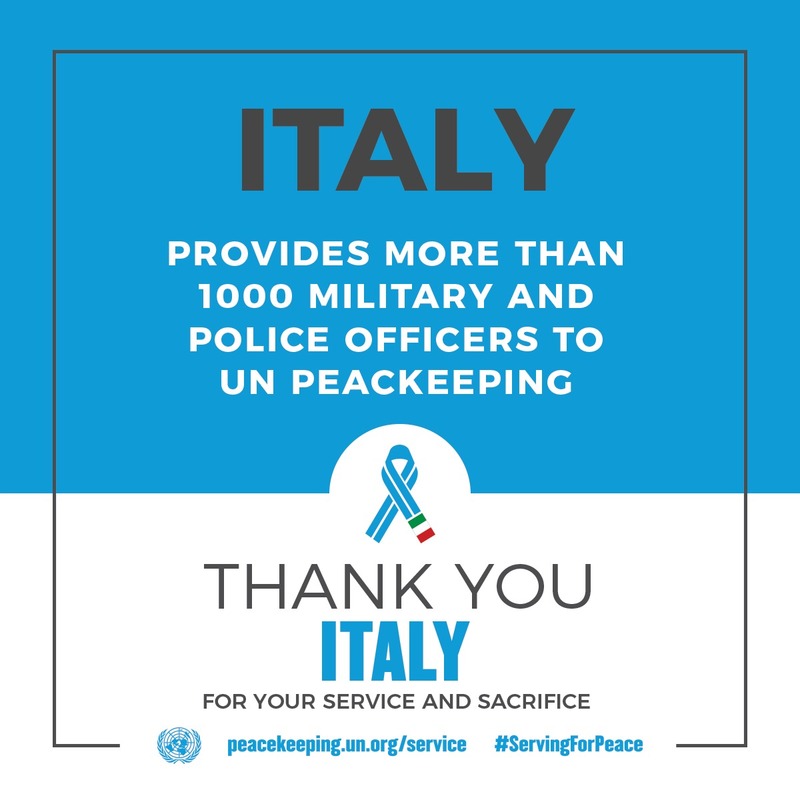 Our peacekeepers come from diverse cultures and speak different languages, but share a common purpose: the protection of vulnerable communities and the provision of support to countries struggling to move from conflict to peace. 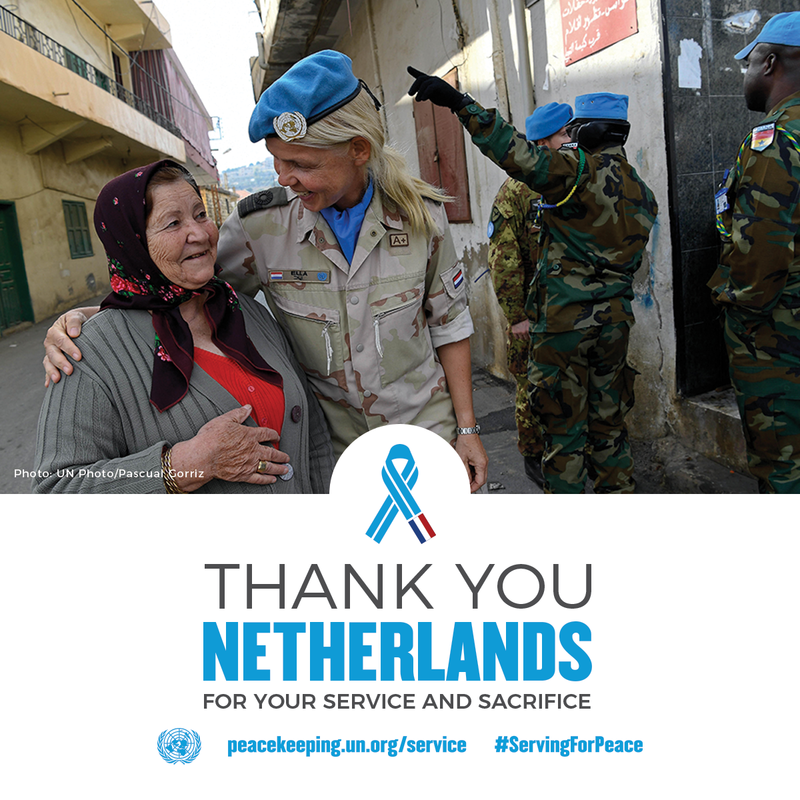 We ask peacekeepers and their families to make great sacrifices. They serve at great personal risk and in harsh conditions. 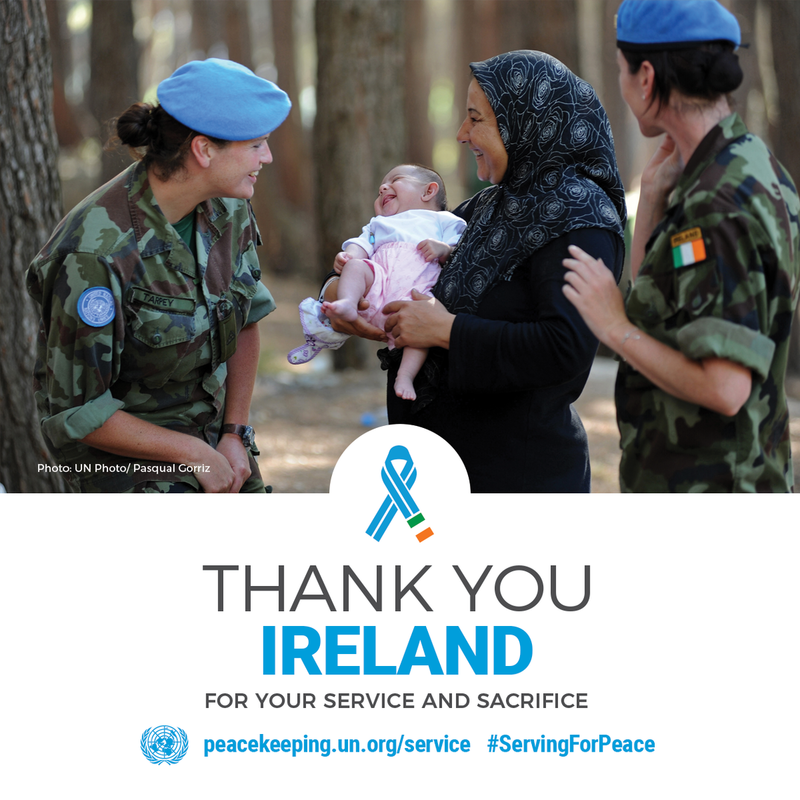 Tragically some make the ultimate sacrifice - over 3,500 peacekeepers have lost their lives in the cause of peace. 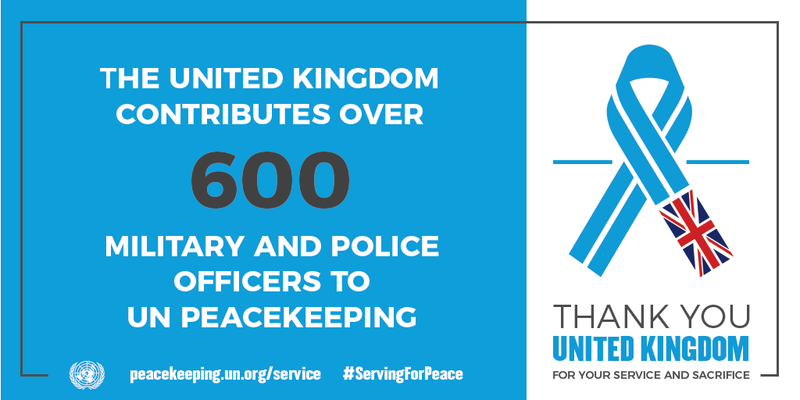 Who contributes troops and police to peacekeeping? 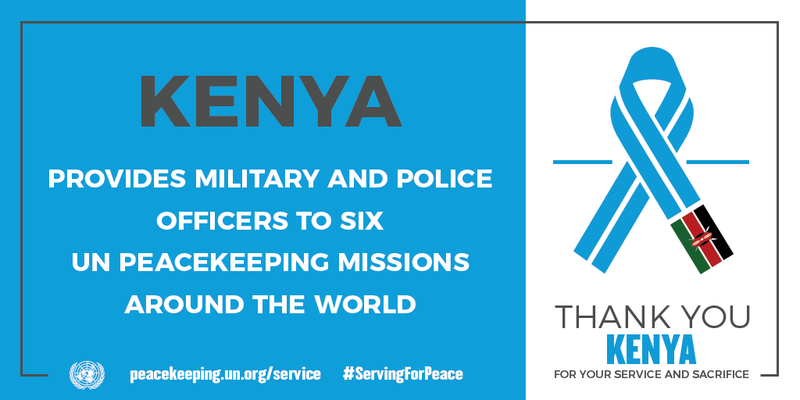 Peacekeeping is a global partnership; it is the commitment of our Troop and Police Contributing Countries that allows peacekeeping to happen. 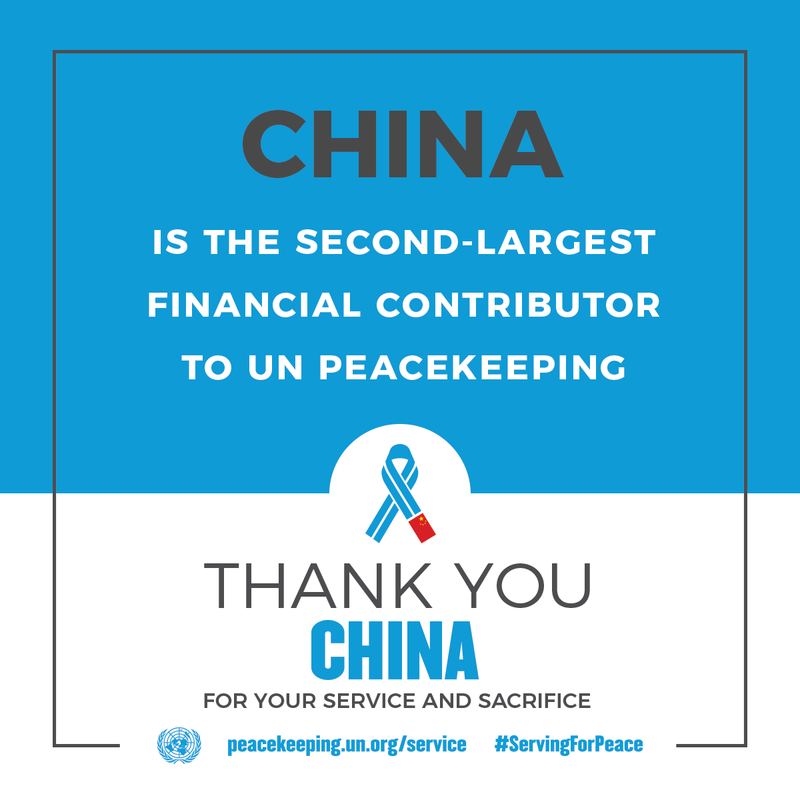 The map below shows the countries who contribute. 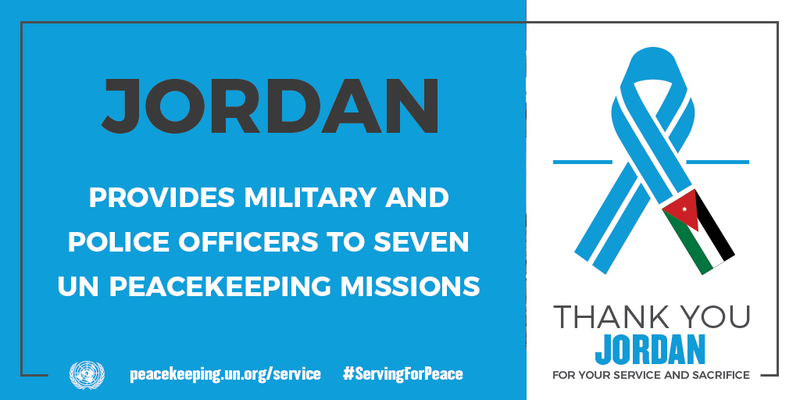 You can find out much more information, for example which missions they are deployed to in our data section. 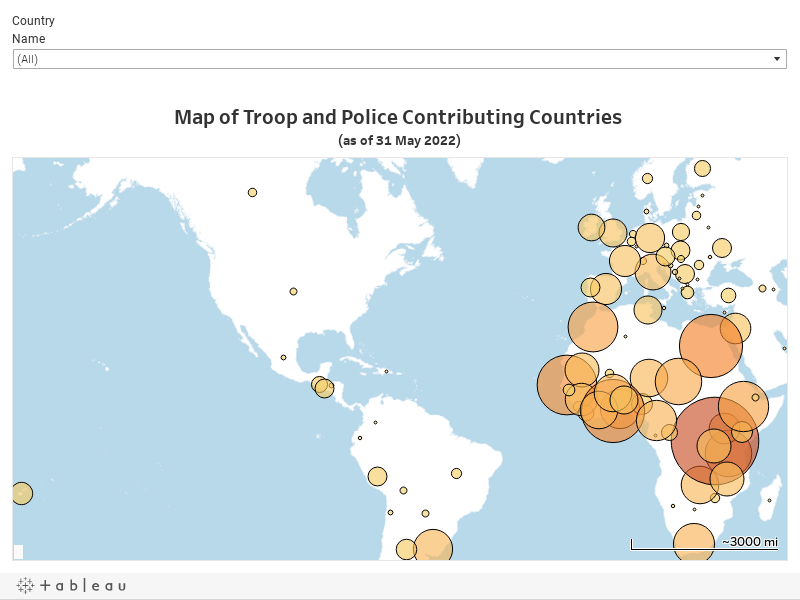 Hover over the country you are interested in to see the number of peacekeepers they contribute. 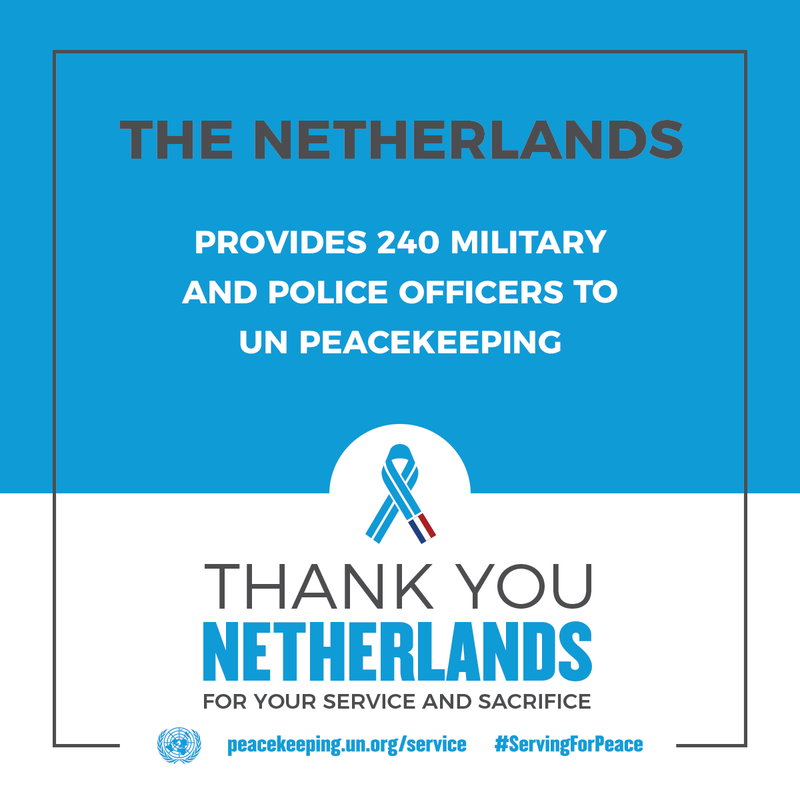 In the run up to the International Day of UN Peacekeepers on 29 May 2019, we are shining a spotlight on some of the countries that contribute uniformed peacekeepers to our operations. 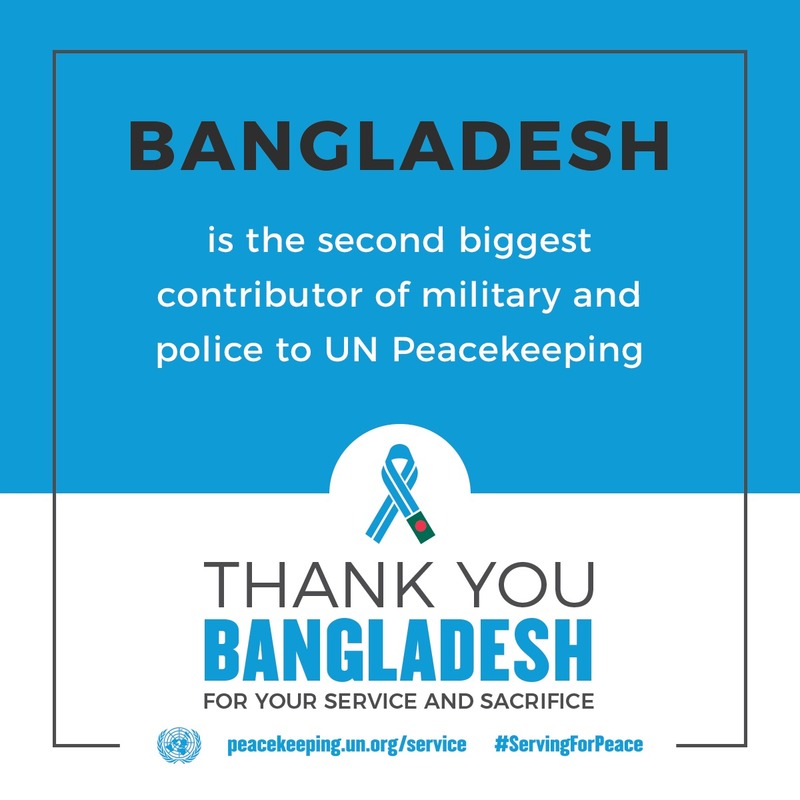 Bangladesh is one of the largest contributors to UN peacekeeping operations. 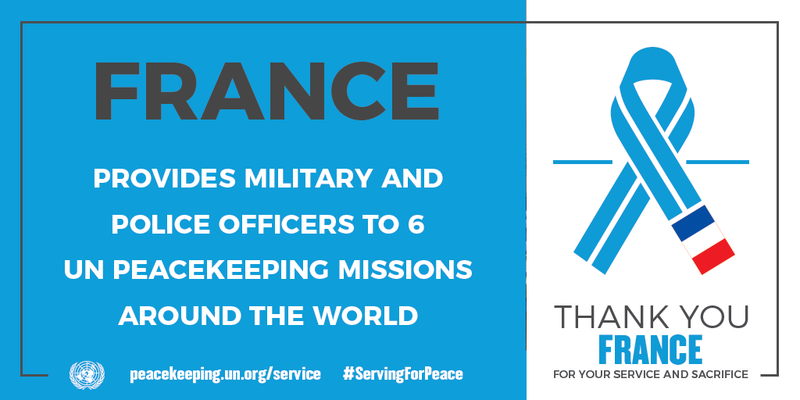 The South Asian nation first deployed uniformed personnel to serve with the Organization in 1988 when they were deployed to help monitor the armistice between Iran and Iraq. 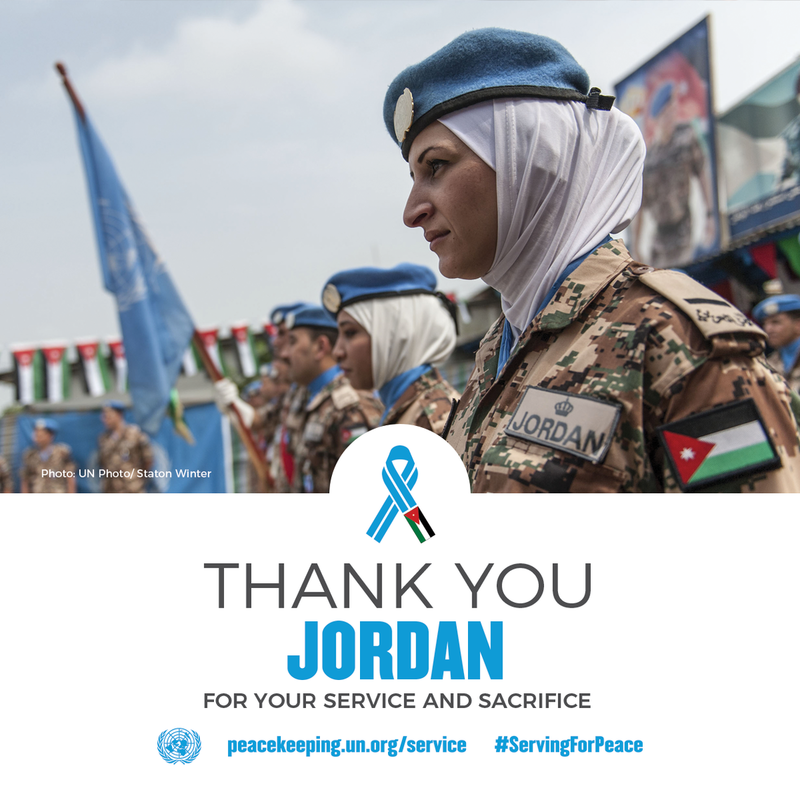 Over the past three decades, the contributions of these brave men and women in the countries in which they serve have been immense. 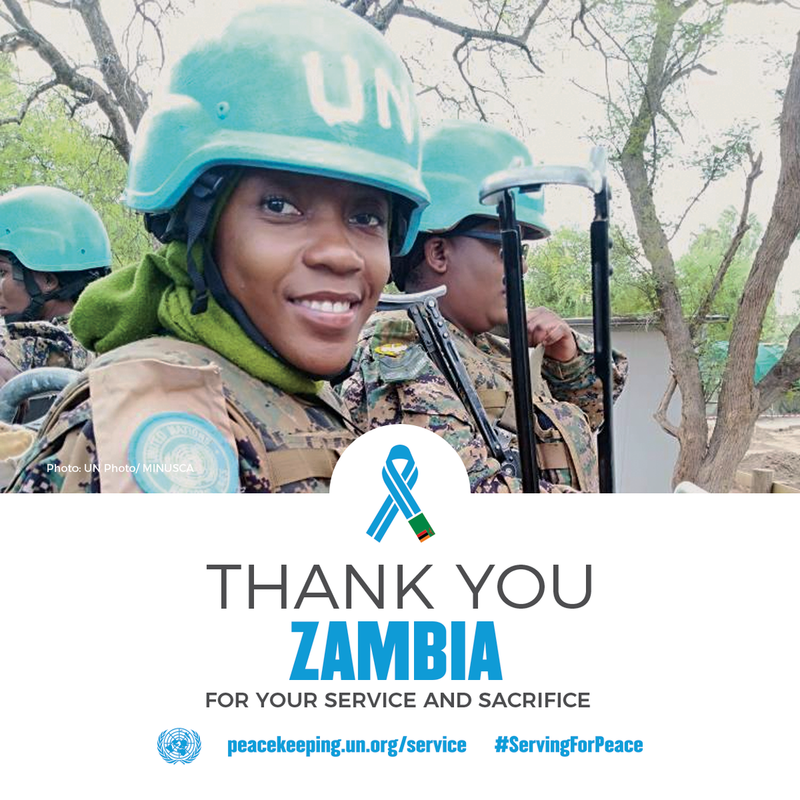 It is "virtually impossible" to fully serve and protect civilians who rely on UN peacekeeping missions around the world without the participation of women within the ranks. 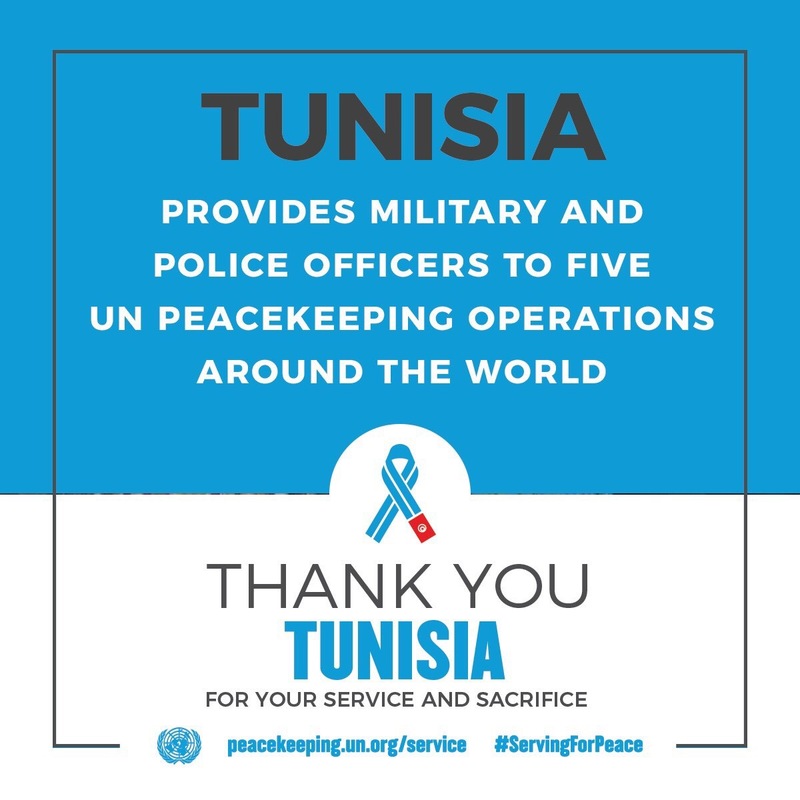 That's the firm view of Major General Mohammad Humayun Kabir of Bangladesh, Commander of the UN Peacekeeping Force in Cyprus, which goes by the acronym UNFICYP. The full interview can be listened to here. 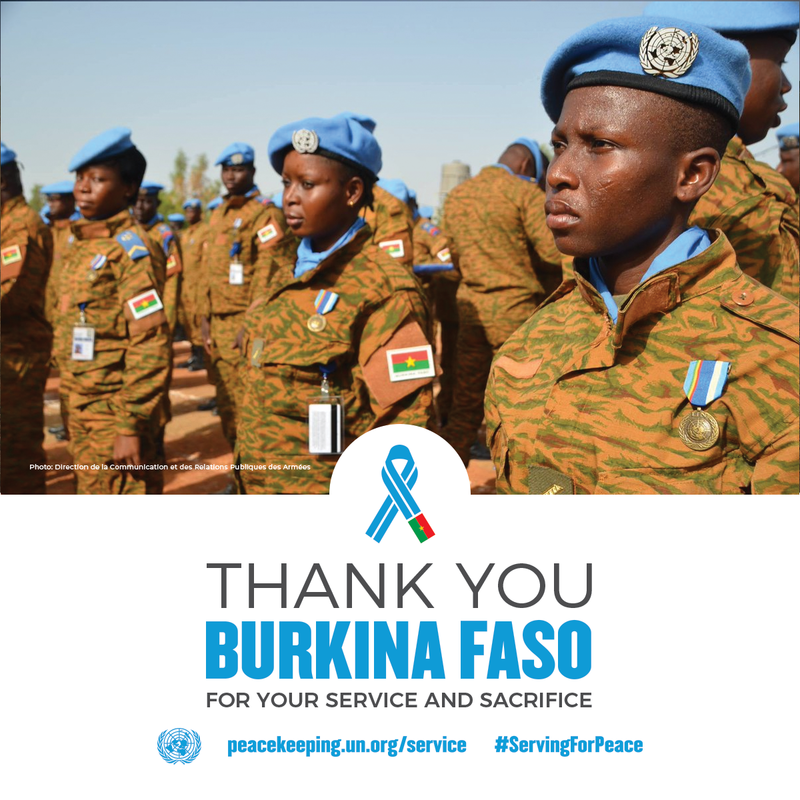 Farewell ceremony in honour of six Burkinabe peacekeepers from MINUSMA who died during an ambush on the Goundam-Tombouctou axis, in Mali, in July 2015. 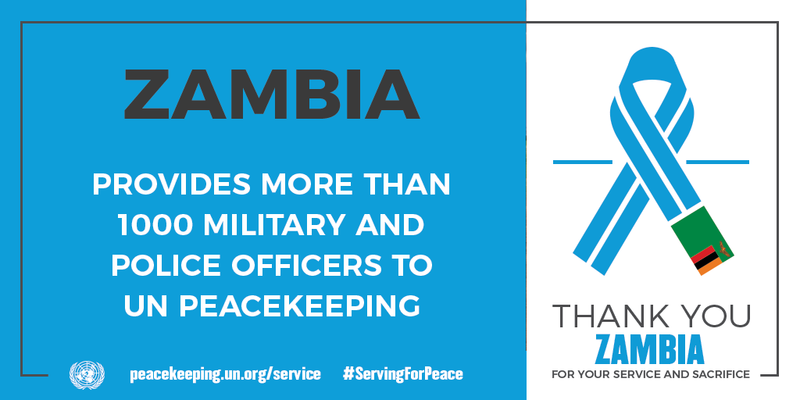 This morning Burkinabe peacekeepers are getting ready for their daily tasks protecting civilians and United Nations personnel, installations and equipment in Timbuktu, north of Mali. 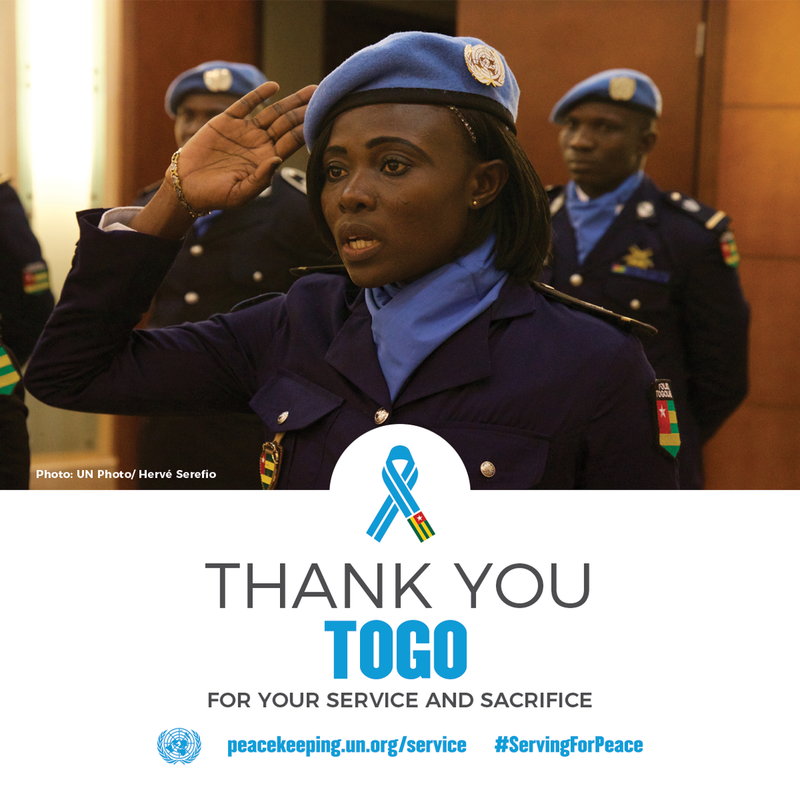 Gladys Ngwepekeum Nkeh is a United Nations police officer from Cameroon, one of some 12,870 uniformed personnel working with the UN peacekeeping mission in the Central African Republic. 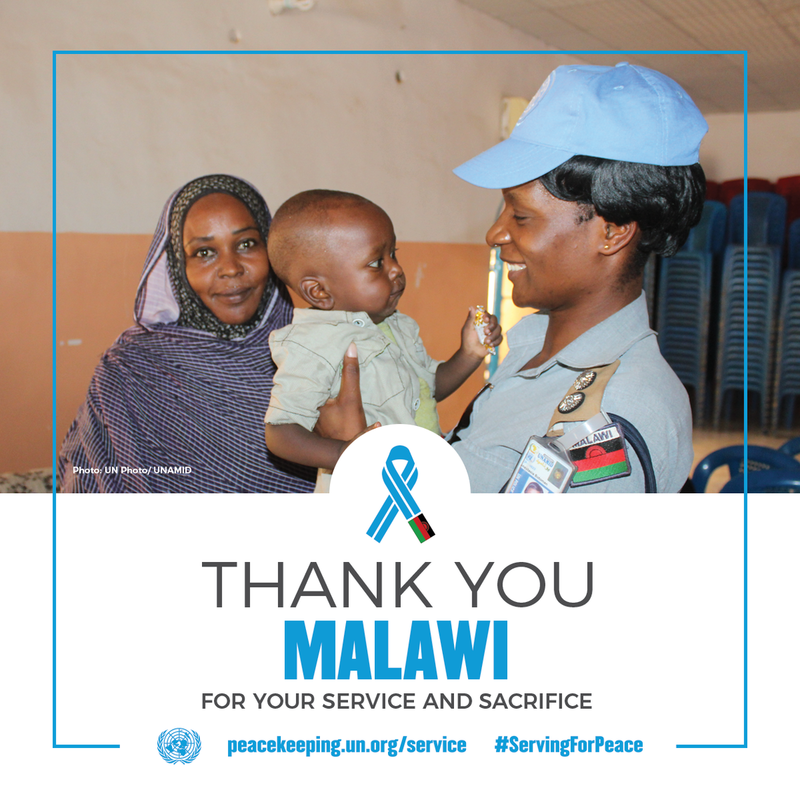 Earlier this year, the officer and her team went to a school – Ecole des 136 villas – in Bangui looking for a young girl who she found out from community leaders had been raped and became pregnant. 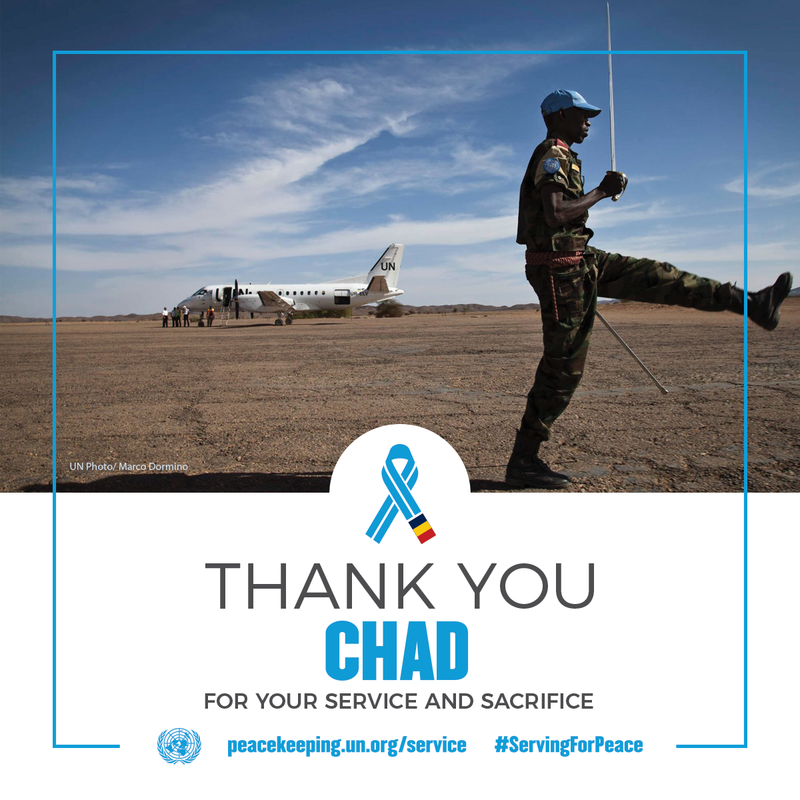 As Tahir and his fellow Chadian peacekeepers set out on their daily patrol through the dusty streets of Kidal, in northern Mali, the question he faces is always the same – will he and his team return safely to the United Nations base? 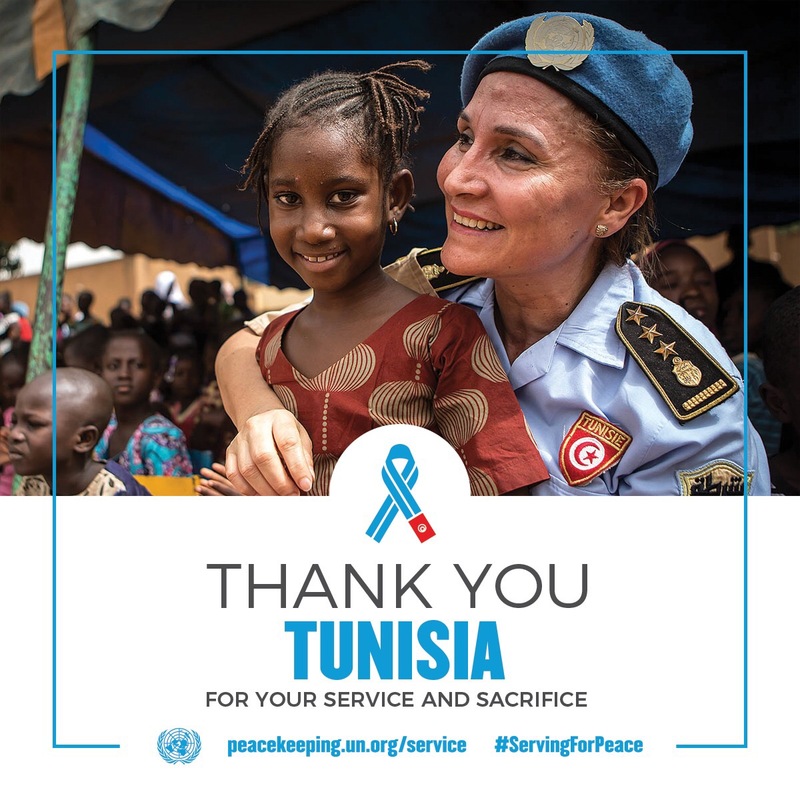 The UN peacekeeping mission in Mali, known by its French acronym MINUSMA, has become one of the most dangerous peace operations in the Organization's history. From the early days of UN peacekeeping to some of today’s most vital operations, Ethiopian men and women have played an important role in the Organization’s efforts to advance peace in the world’s hot spots. The country’s participation in UN-authorised operations dates back to 1951, as part of the UN multinational force in the Korean War. 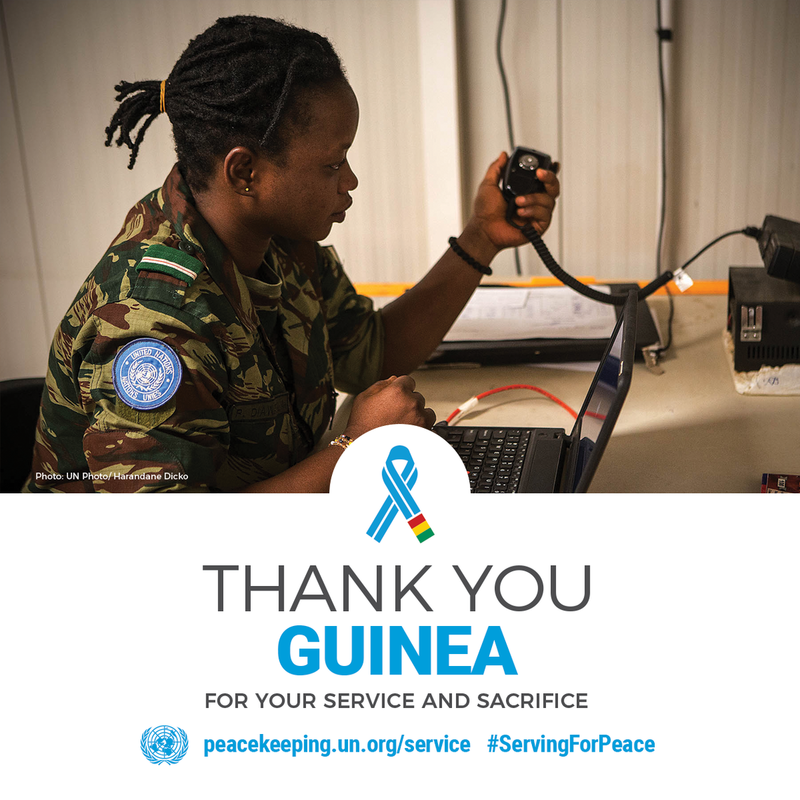 Ghanaian men and women have served as United Nations peacekeepers since the early 1970s, participating in operations that stretched from the Sinai to the African continent. 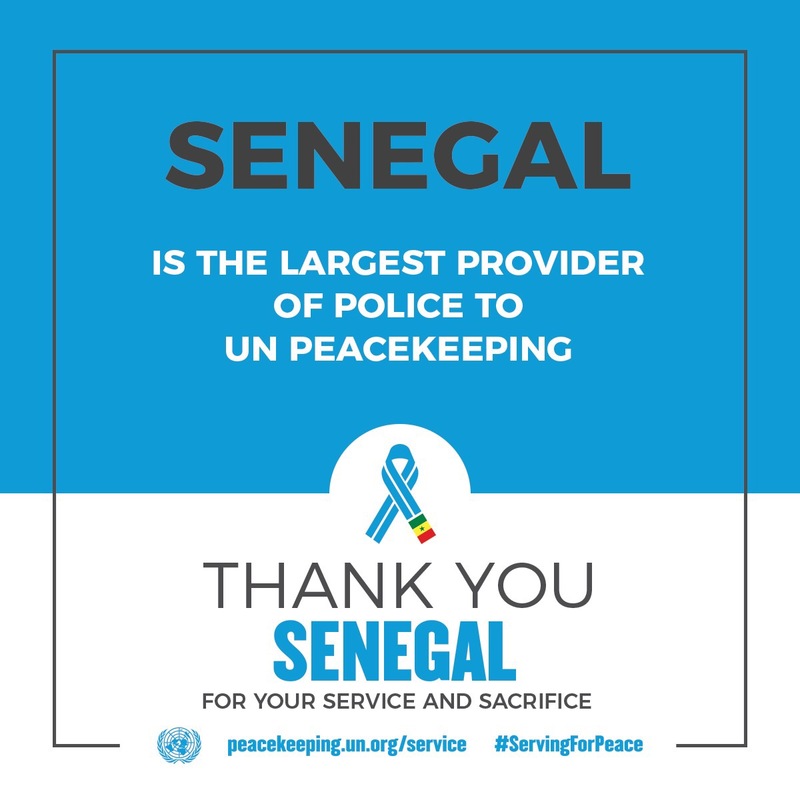 The West African Nations is now among the top 10 contributors to UN peacekeeping, with nearly 3,000 personnel serving on eight missions. 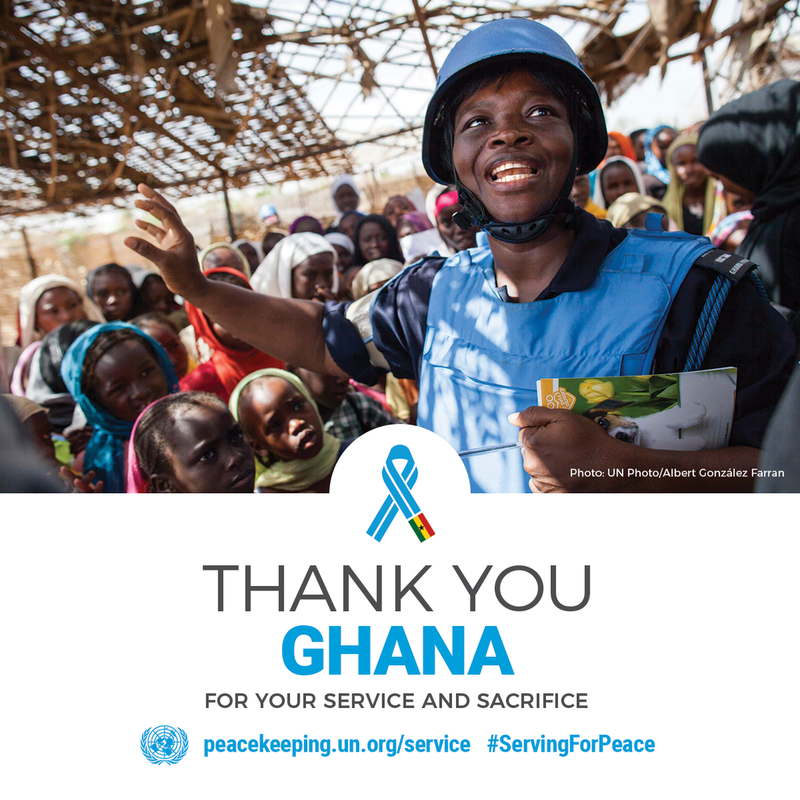 Ghana first deployed troops as part of a UN peacekeeping operation set up to help restore calm and order in the then Republic of Congo (ONUC). Pictured here are Ghanaian police on duty in Leopoldville in August 1960. 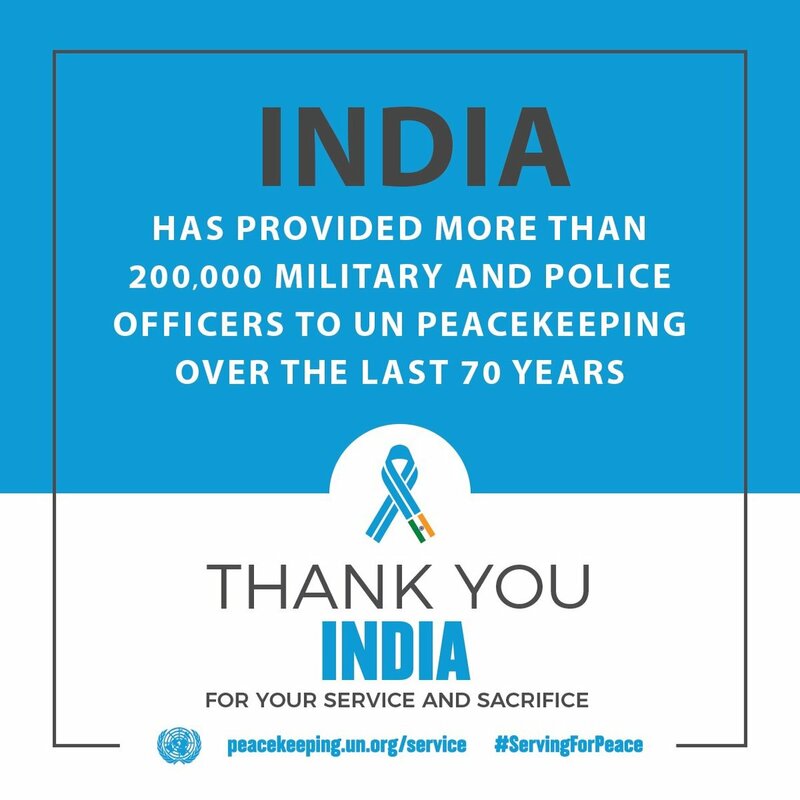 From protecting civilians, disarming ex-combatants and helping countries transition from conflict to peace, Indian men and women in uniform have served the cause of peace from the earliest years of United Nations peacekeeping and continue to do so in some of the most challenging missions. 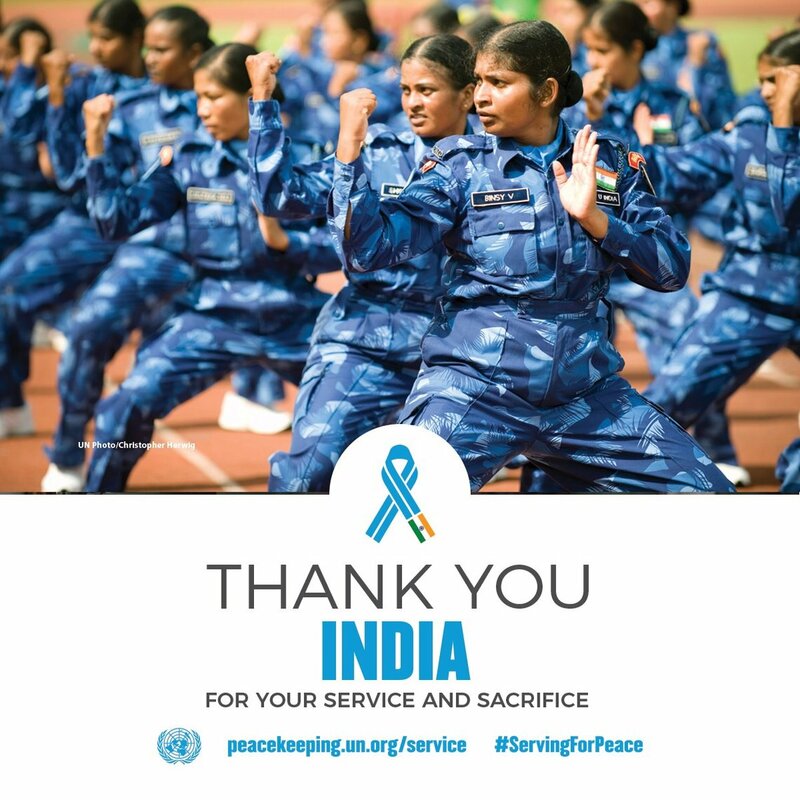 India has a long tradition of sending women on UN peacekeeping missions. 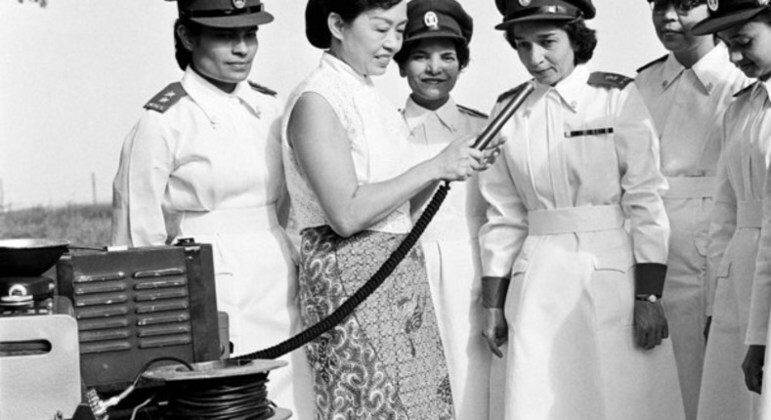 In 1960, women serving in the Indian Armed Forces Medical Services were interviewed by UN Radio before being deployed to the Republic of the Congo. 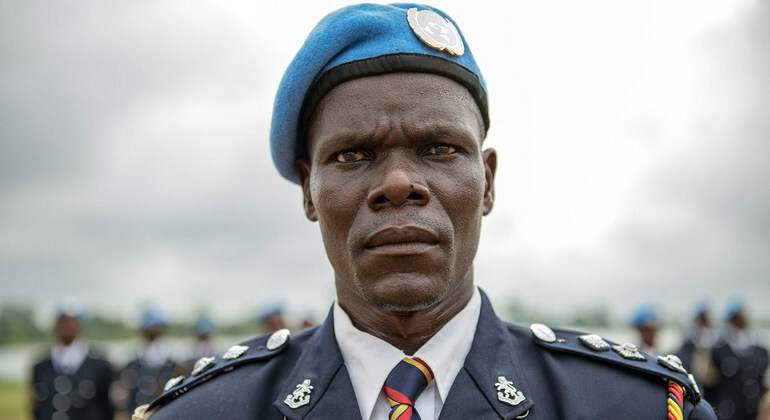 A Kenyan police officer serving with the UN Mission in Liberia (UNMIL) stands at attention for the national anthem during an awards ceremony at Camp Clara, in Monrovia, in May 2014. 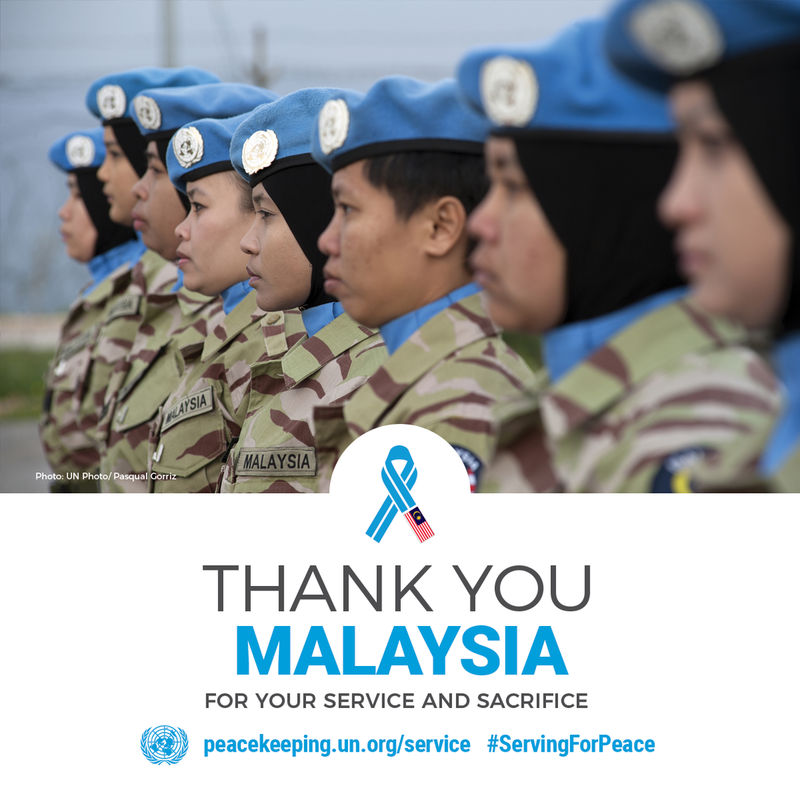 Peacekeepers from Malaysia serving under the United Nations flag in Lebanon face “a totally new experience” according to the commander of the Malaysian contingent in the country. Malawi first contributed troops to UN peacekeeping in 1994. Today, it has over 900 uniformed personnel across several missions in Africa, including in the Democratic Republic of the Congo (pictured). 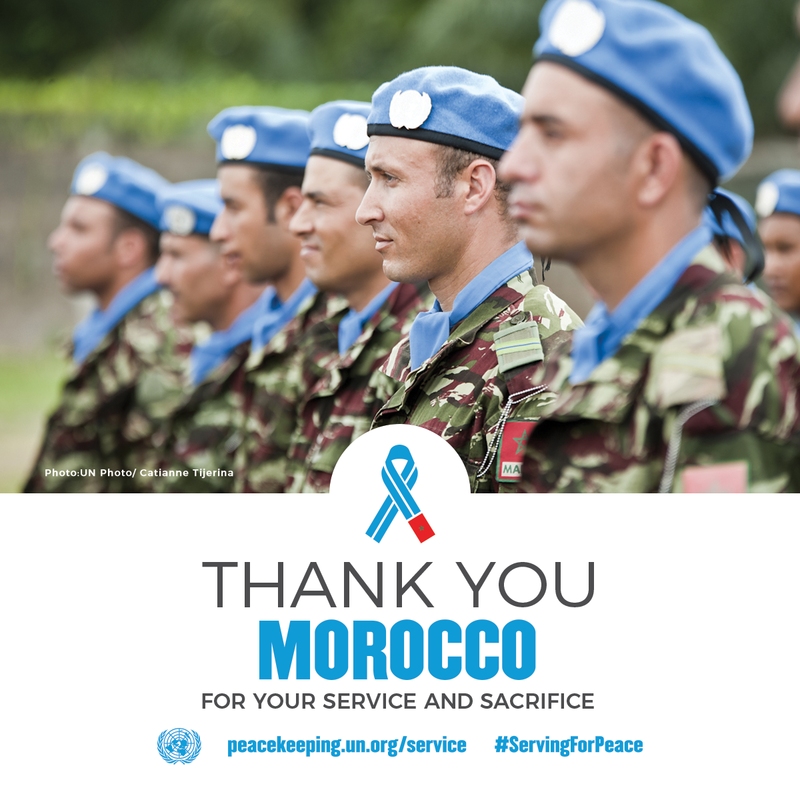 Mongolia first joined United Nations peacekeeping in 2002 with the deployment of two unarmed military observers to the UN Mission for the Referendum in Western Sahara. 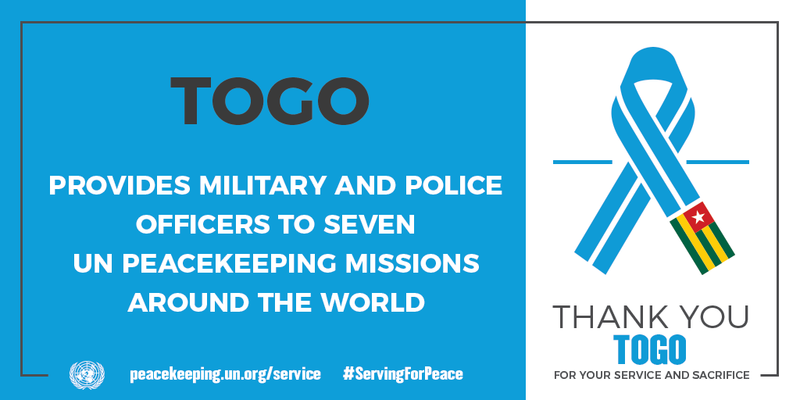 Soon after that, it sent two more officers to the UN Mission in the Democratic Republic of the Congo. 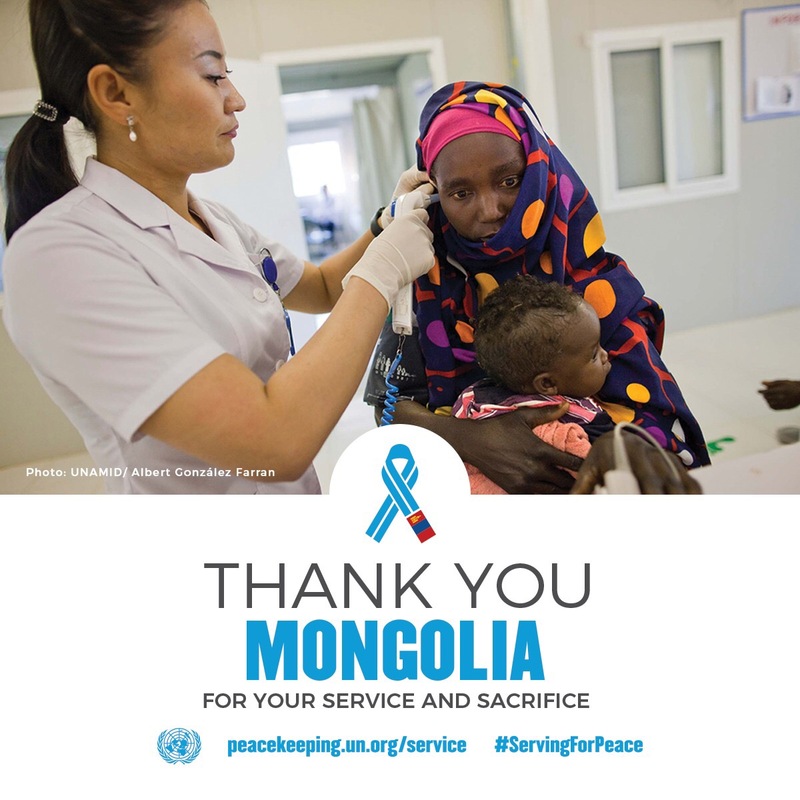 Since then, Mongolia has continued to expand its contributions to UN peace operations in hot spots around the world. 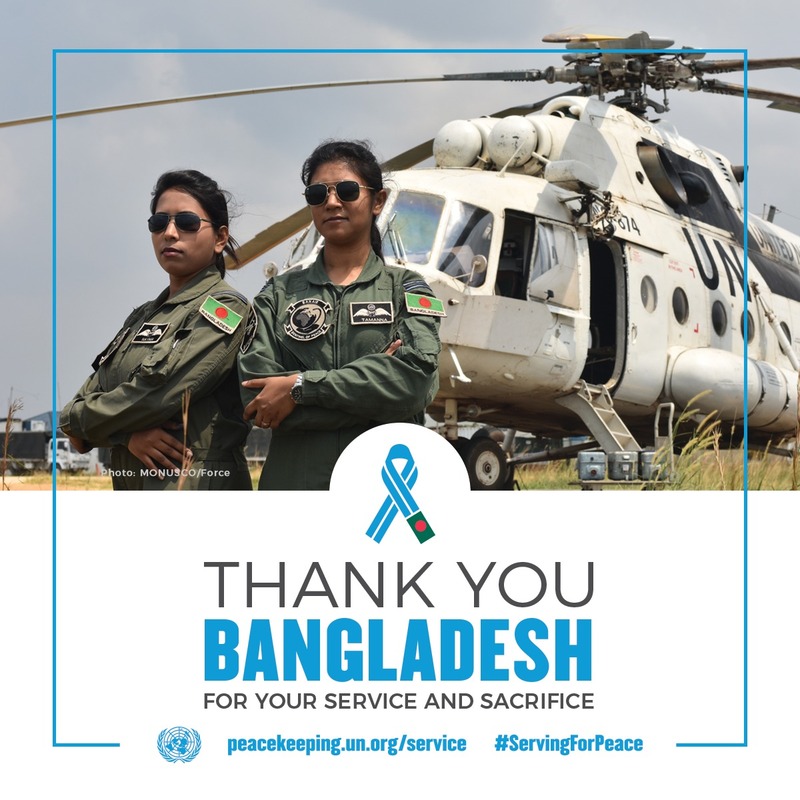 The service of Nepalese men and women has not come without enormous sacrifice – 76 of them have lost their lives serving under the UN flag over the past six decades. Nepalese peacekeepers serving with the UN Operation in Burundi are seen here arriving in the town of Isale to check on security and the local population in December 2004. 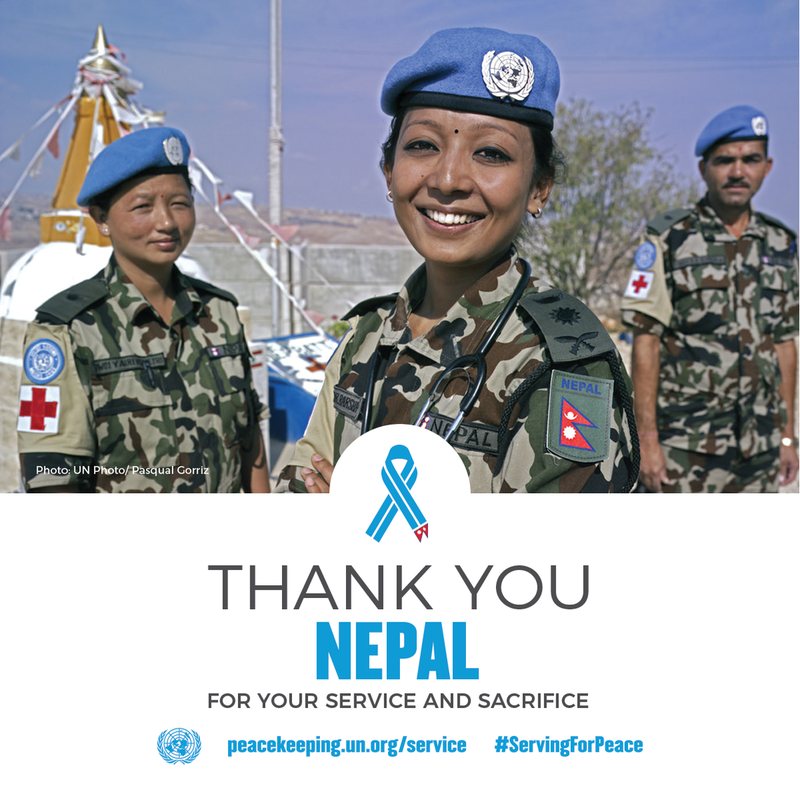 For over six decades, Nepalese women and men have served around the world as United Nations peacekeepers. 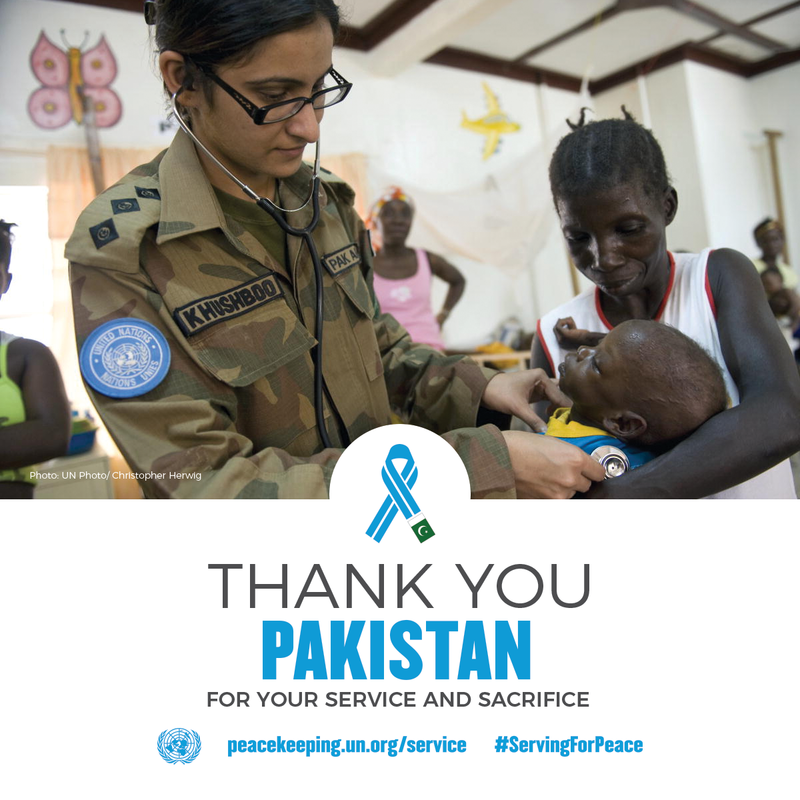 The South Asian nation is currently the fifth largest contributor to UN peacekeeping, with over 5,700 personnel serving in more than a dozen countries. 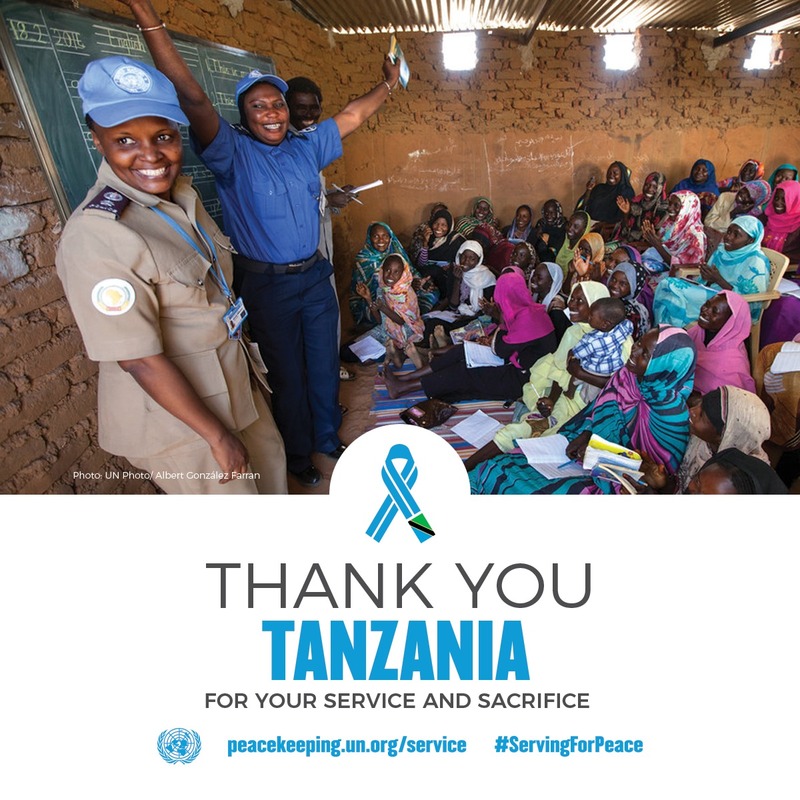 They protect vulnerable communities and support countries working to move from conflict to peace, doing so at great personal risk and in harsh conditions. 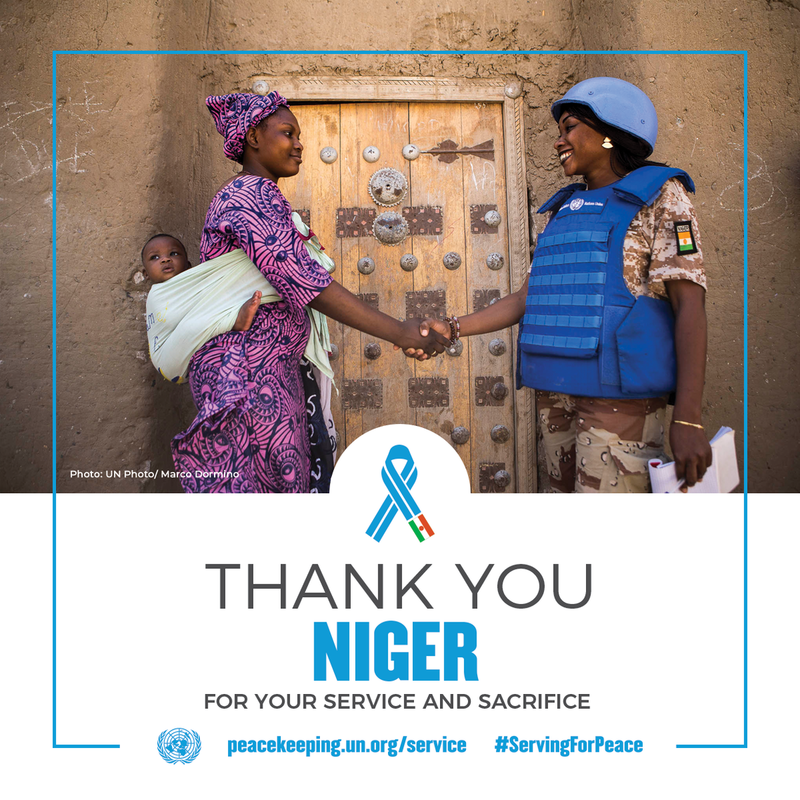 There are just over 1,000 uniformed personnel from Niger currently serving in UN peacekeeping operations in the Central African Republic, the Democratic Republic of the Congo (DRC), Haiti and Mali. 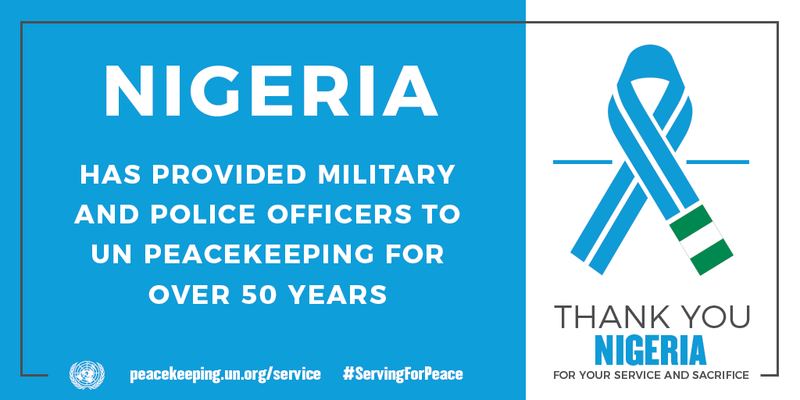 Since the 1960s, Nigeria has been a major contributor of troops and police to United Nations peace operations, having served in dozens of missions. 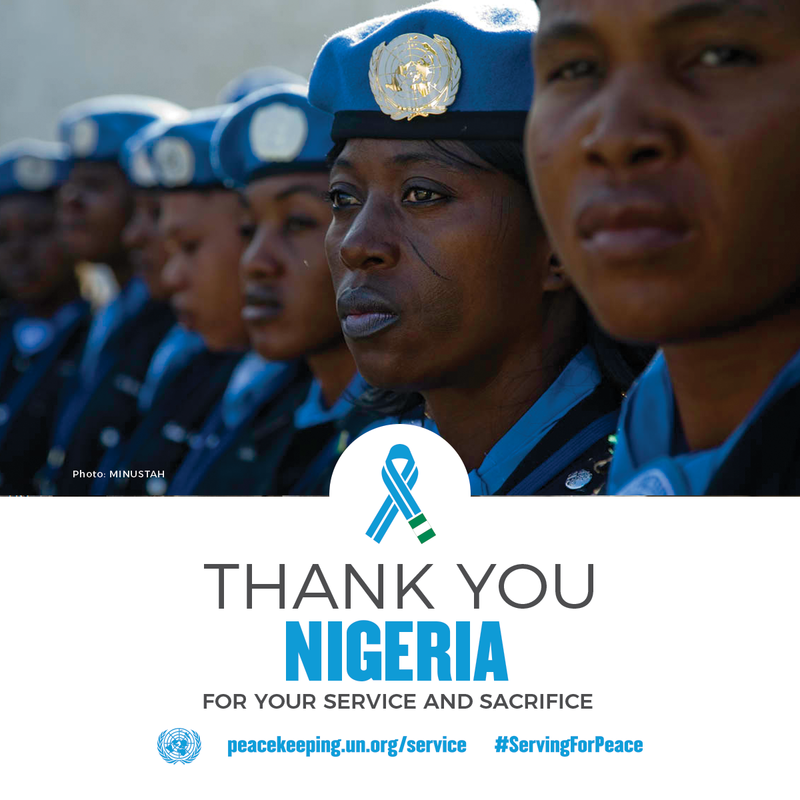 Most recently, Nigerian troops were the military backbone of the UN Mission in Liberia (UNMIL), from 2003-2018, helping to restore security throughout a country that had undergone a brutal civil war. 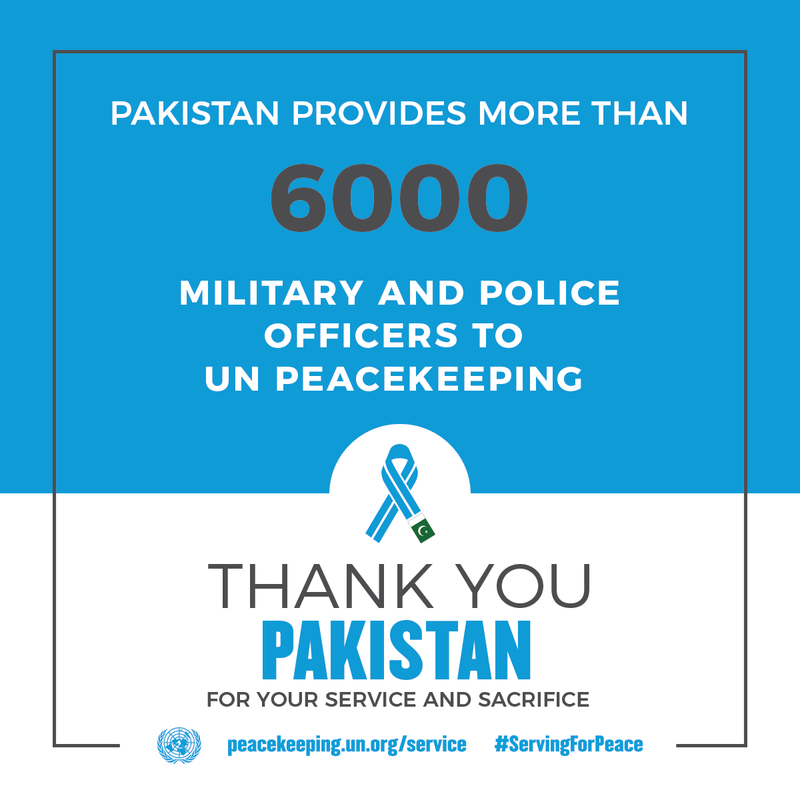 Pakistan has a long history with UN peacekeeping, having been one of the largest contributors of troops and police for decades. 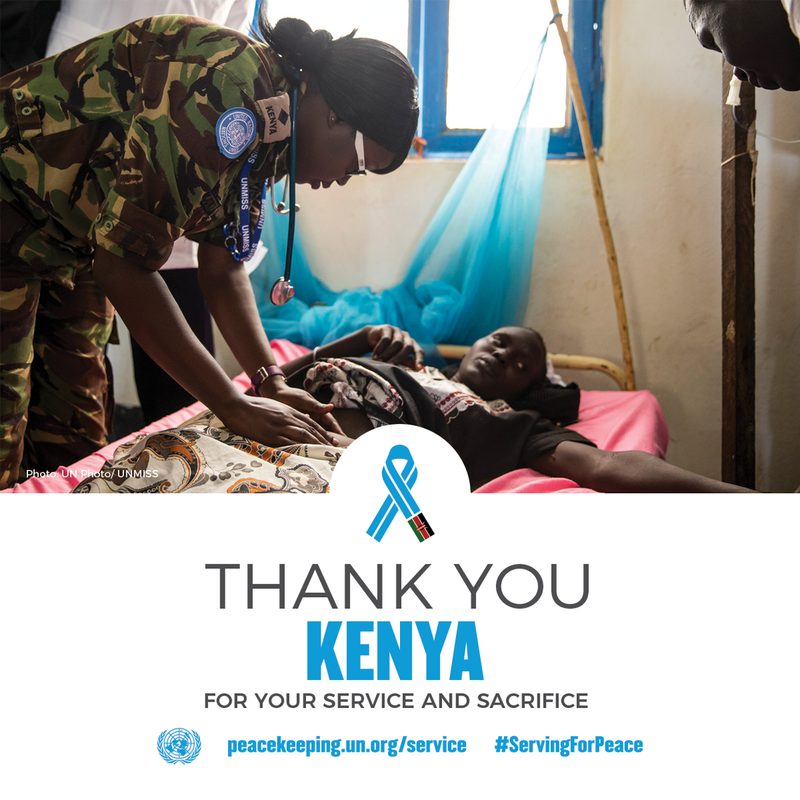 Over the years, African governments have led the way in contributing troops and police to United Nations operations to help save lives and keep the peace around the world. 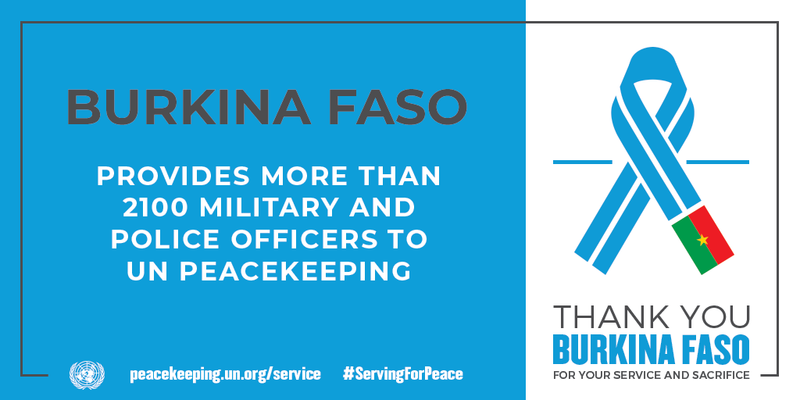 Today, one of the continent’s smallest countries is also one of the largest contributors to UN peacekeeping. 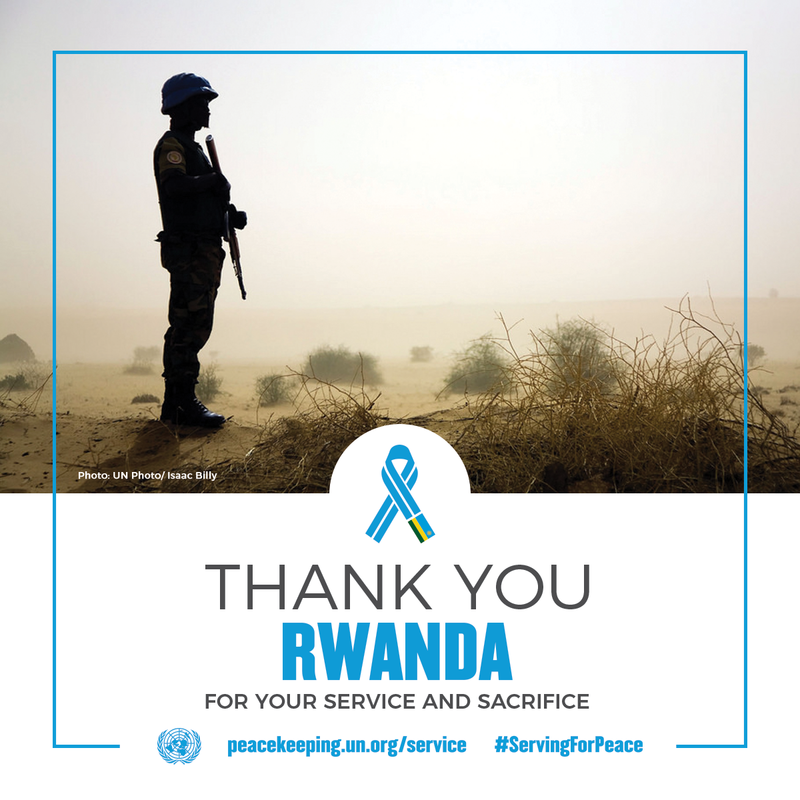 Rwanda began with a modest contribution in May 2005 with the deployment of one military observer to the UN Mission in Sudan (UNMIS). 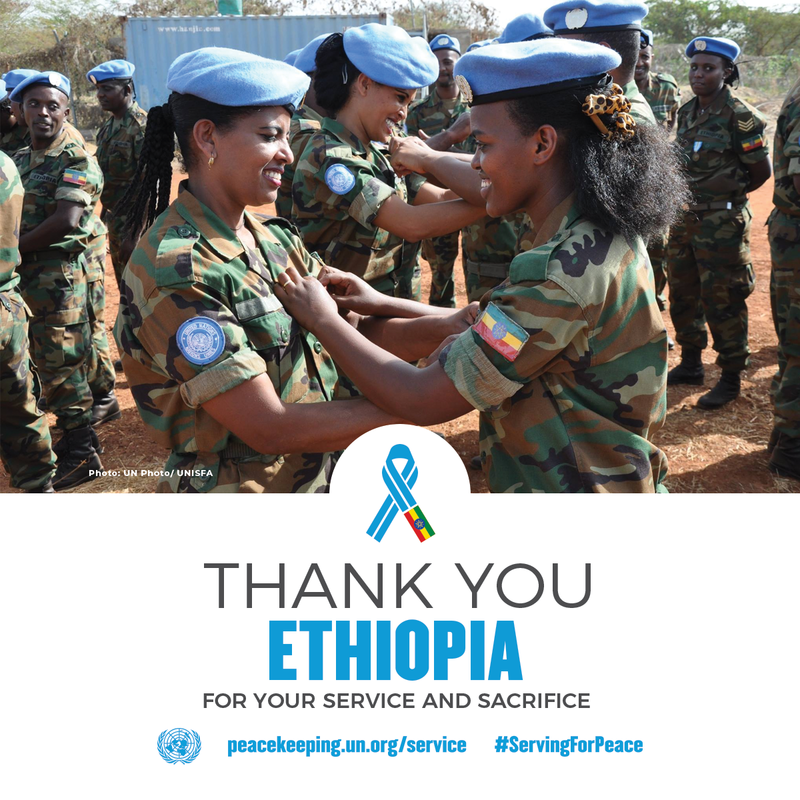 Seen here is the arrival in October 2010 of 89 Rwandan policewomen to the Darfur region of Sudan to serve with UNAMID. 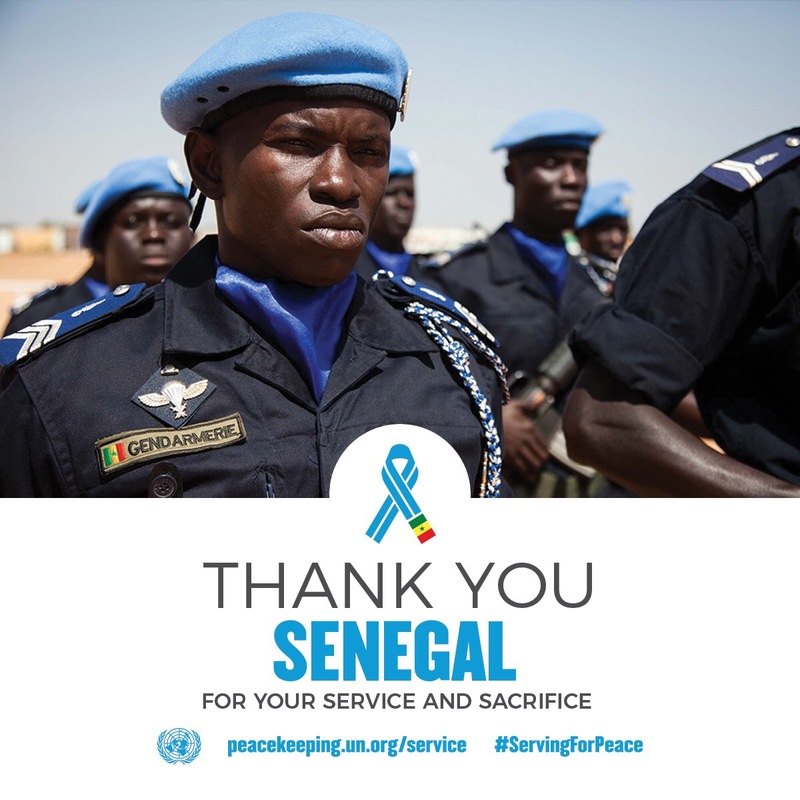 Captain Diagne, of Senegal risked his life time to save hundreds people during the genocide in Rwanda. 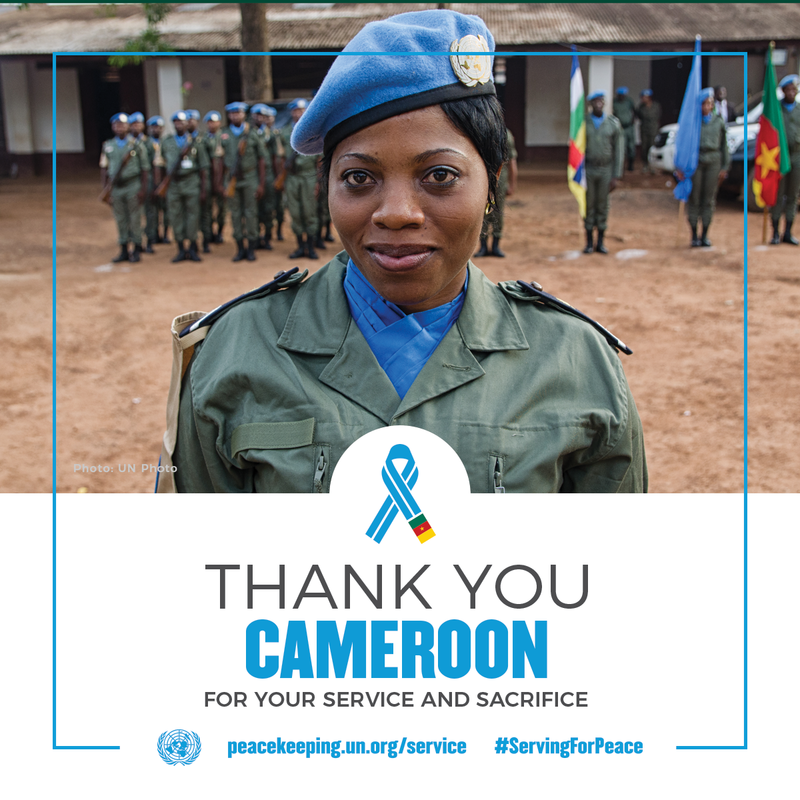 The UN honoured his courage with the inaugural 'Captain Mbaye Diagne Medal for Exceptional Courage. 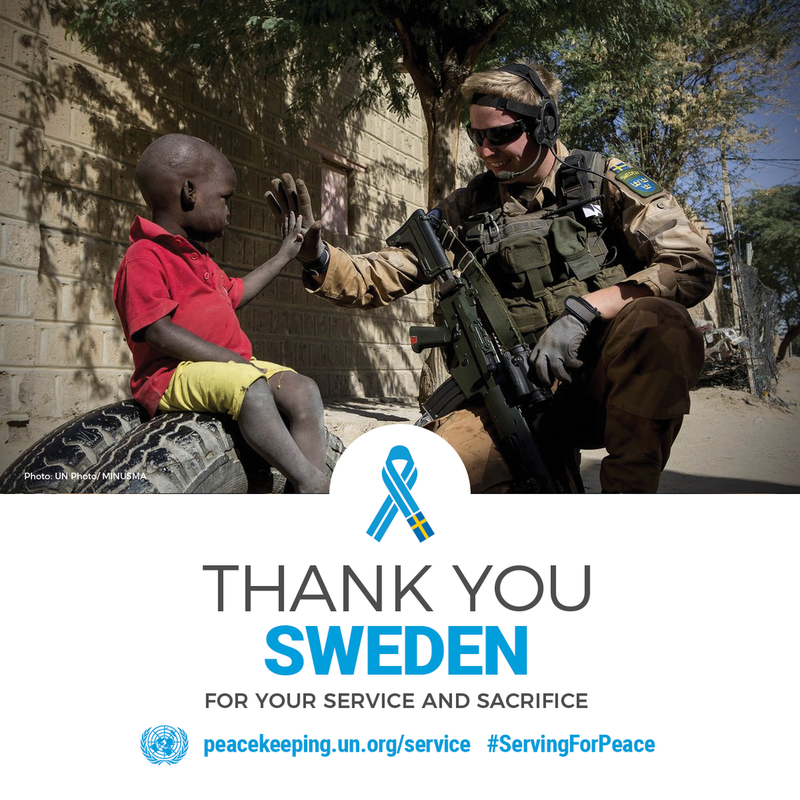 In 2018, 25 women were deployed to Mali in a battalion of 252 Swedish military personnel. Here a Swedish peacekeeper is on patrol in Timbuktu in the north of the West African country. 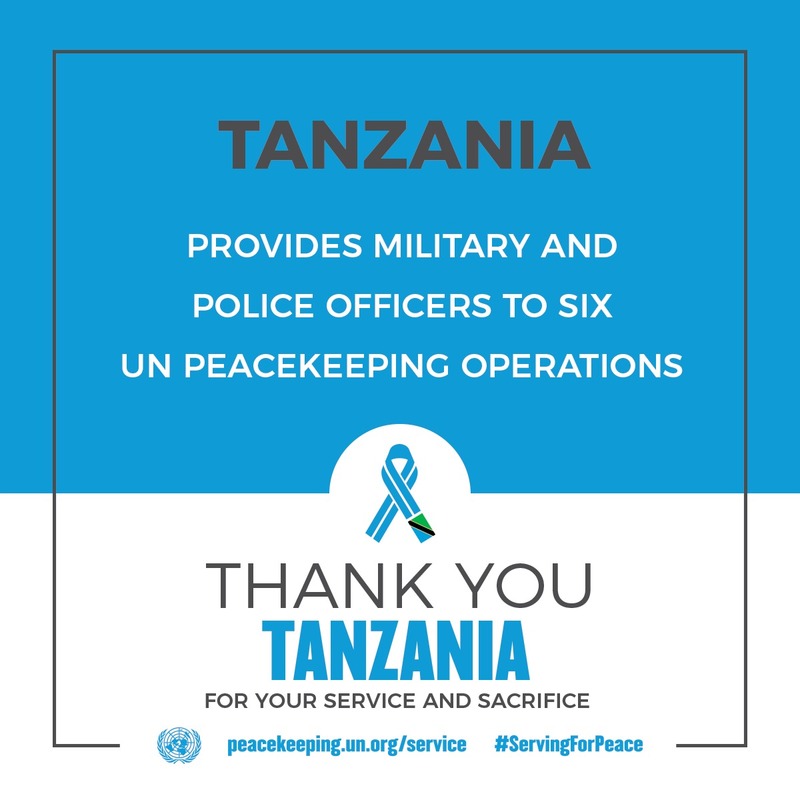 More than 2,600 Tanzanian military and police personnel currently serve in six UN operations, performing a range of vital tasks such as protecting civilians and community policing. A Togolese soldier during a daily patrol in Menaka, northern Mali. 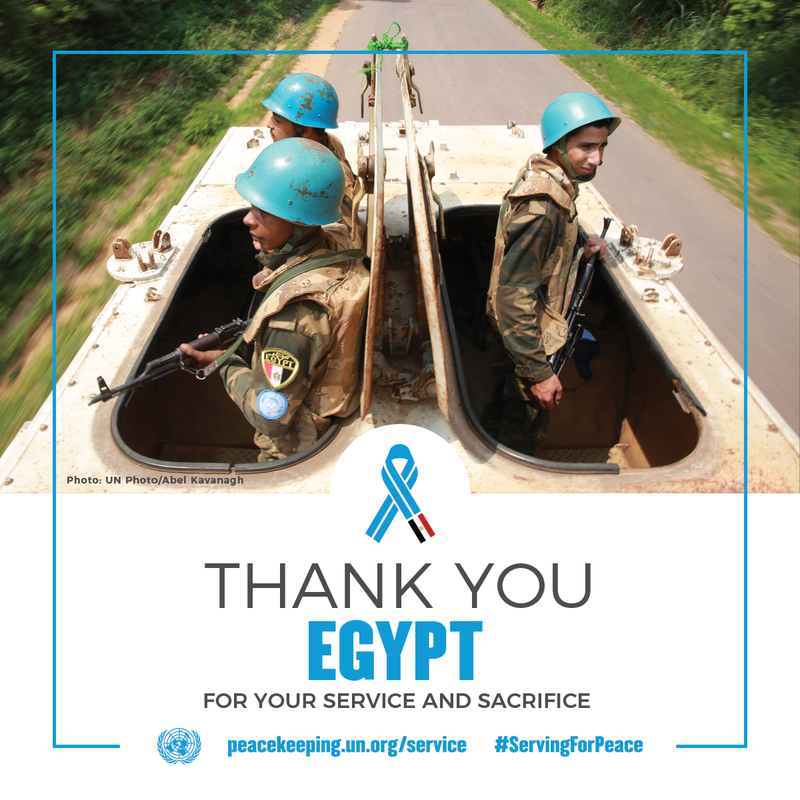 Regular patrols like this support MINUSMA’s efforts to protect civilians, as mandated by the Security Council. 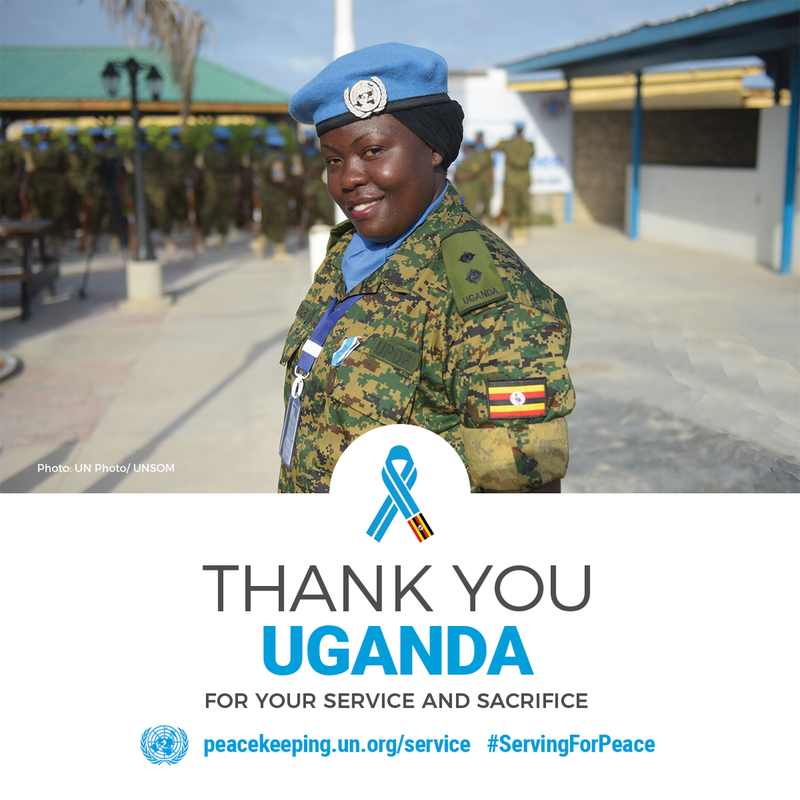 A contingent of 530 Ugandan “Blue Helmets” is playing a crucial role in the United Nations’ efforts to help bring peace and stability to Somalia. 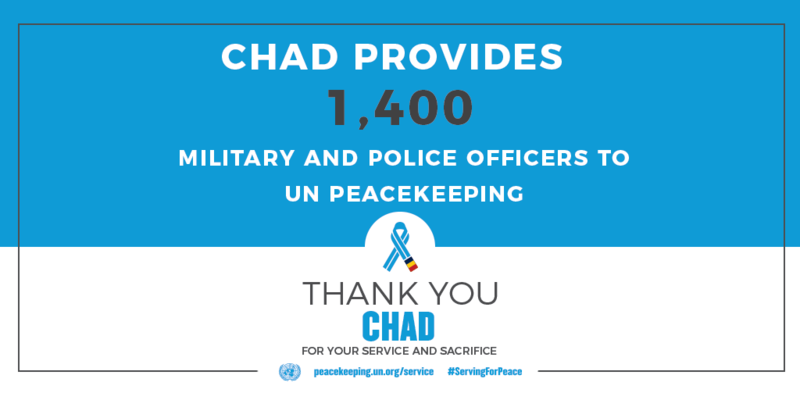 They make up the United Nations Guard Unit, that is tasked with protecting UN compounds in Mogadishu. 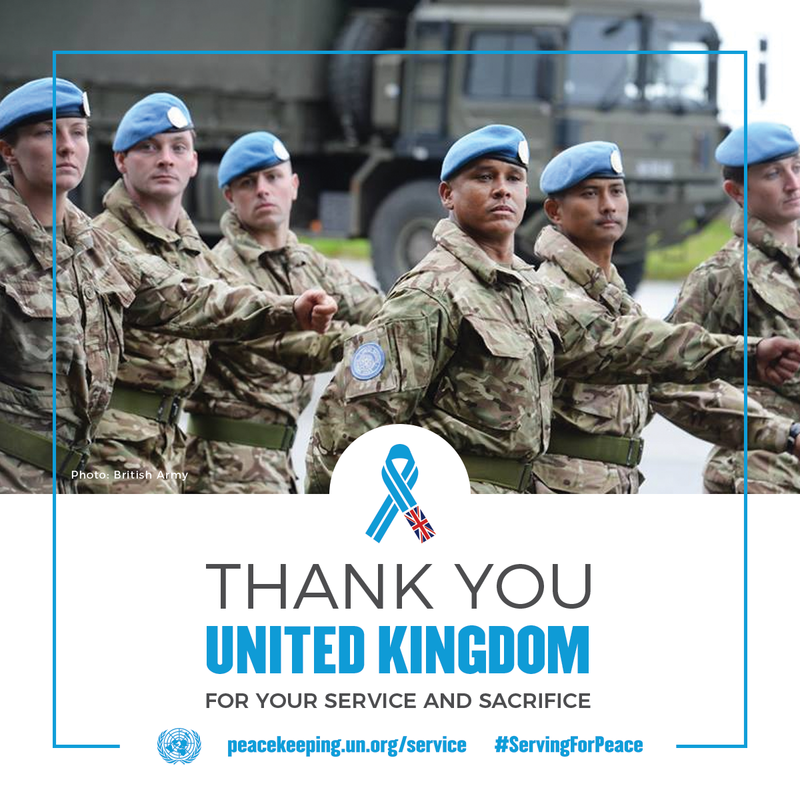 Lieutenant Colonel Katie Hislop of the United Kingdom said she was happy to serve as a role model for young women considering a career with the armed forces. 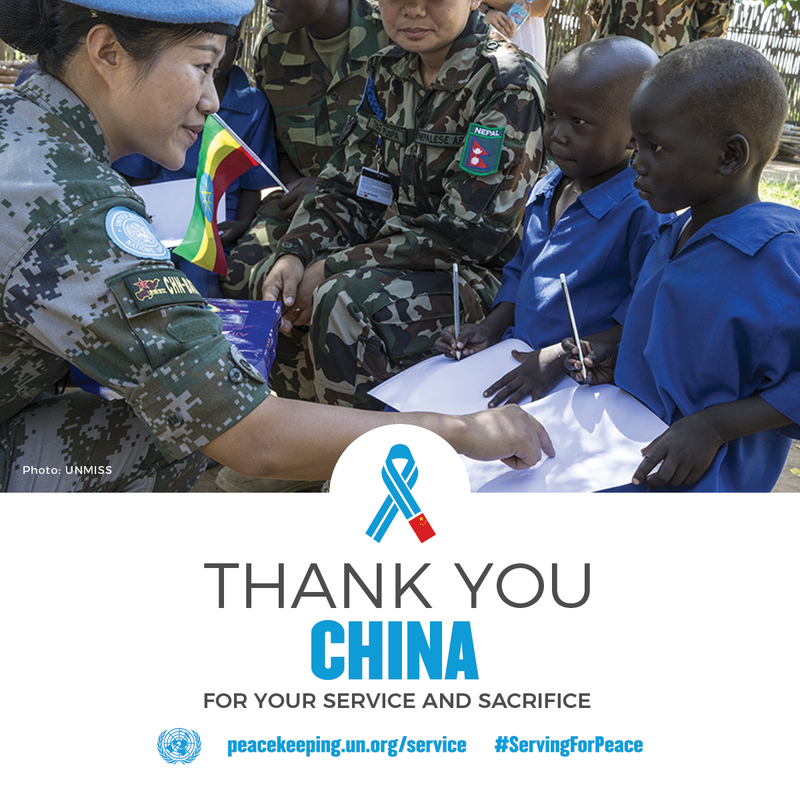 The mother of two was the only woman to head a military contingent at the UN Mission in South Sudan. 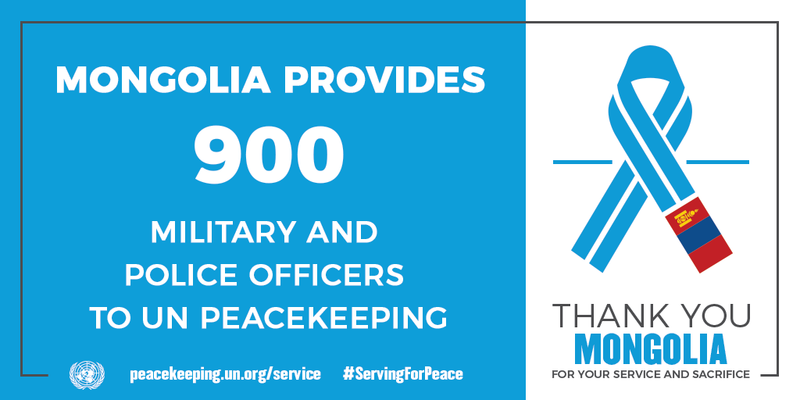 Making some sort of positive difference is what serving as a UN peacekeeper is all about, Lieutenant Nick Lytollis reckons. 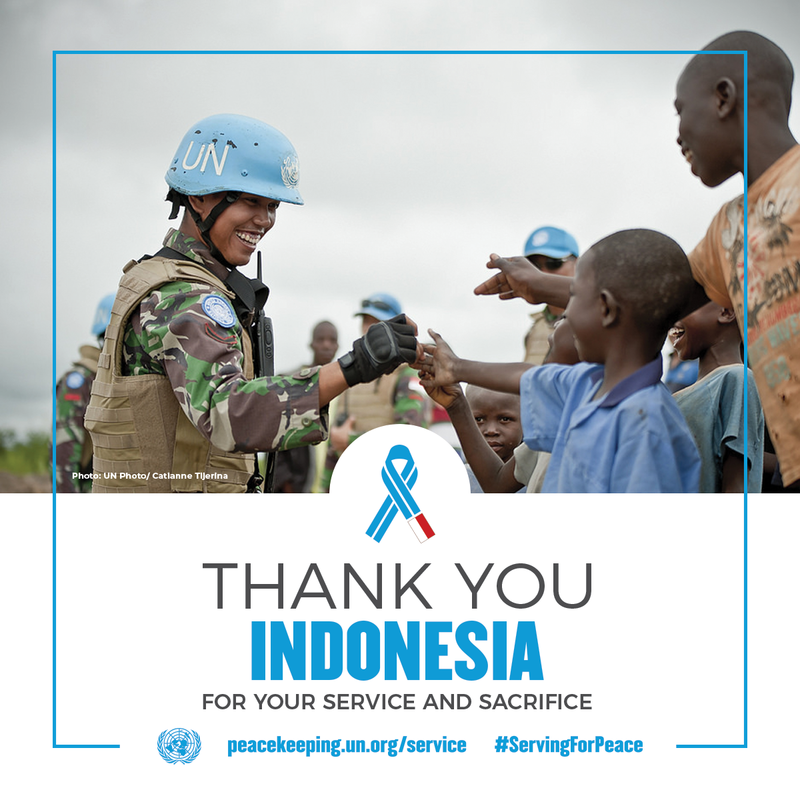 *UNFICYP, UNMISS, MINUSMA, MONUSCO. 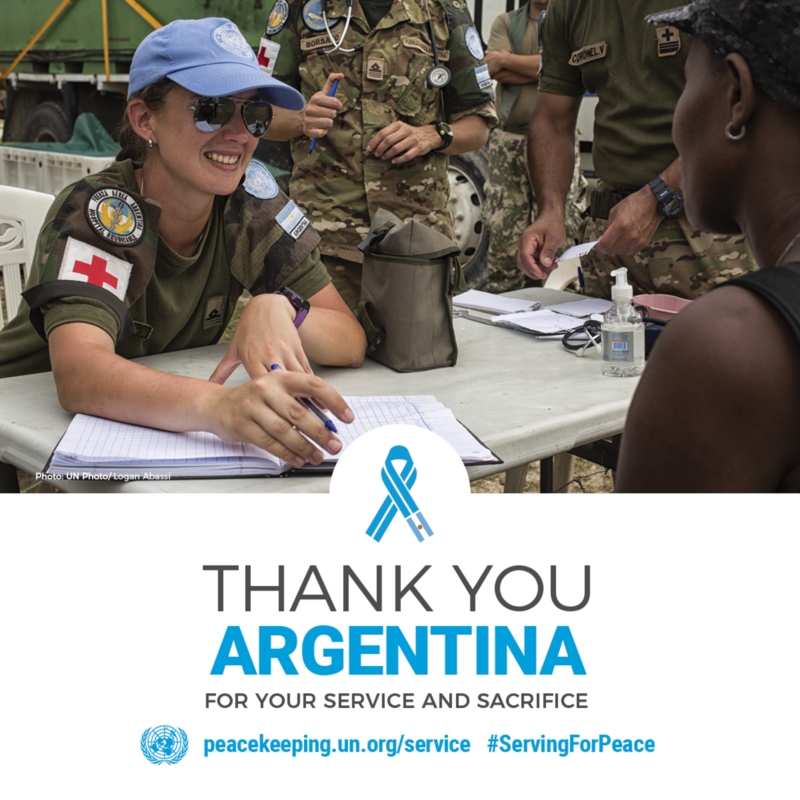 UK also contributes personnel to four other peace operations. 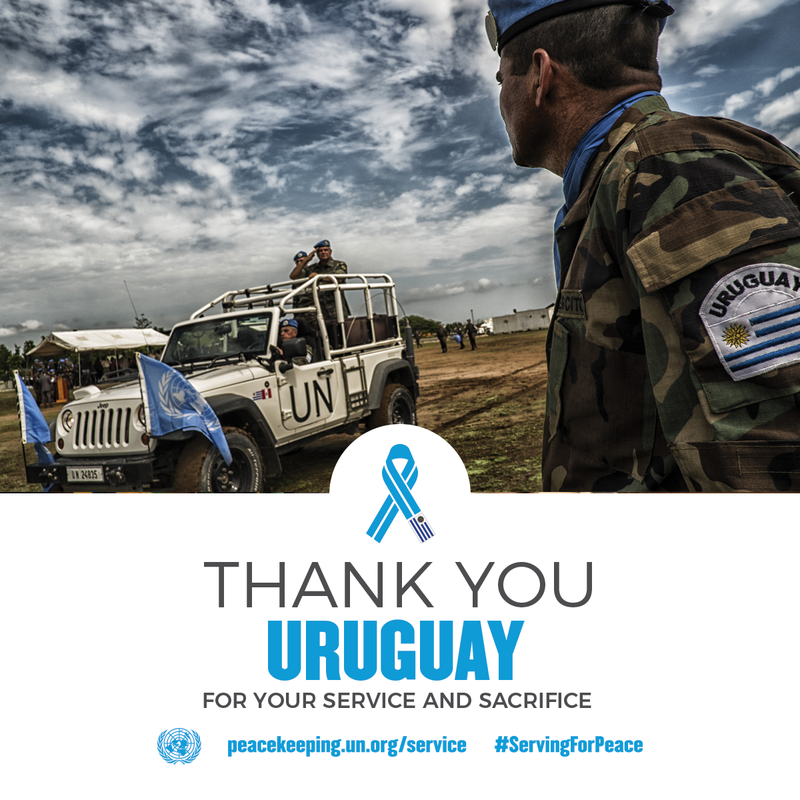 Uruguay has been helping the UN to keep the peace for nearly 70 years. 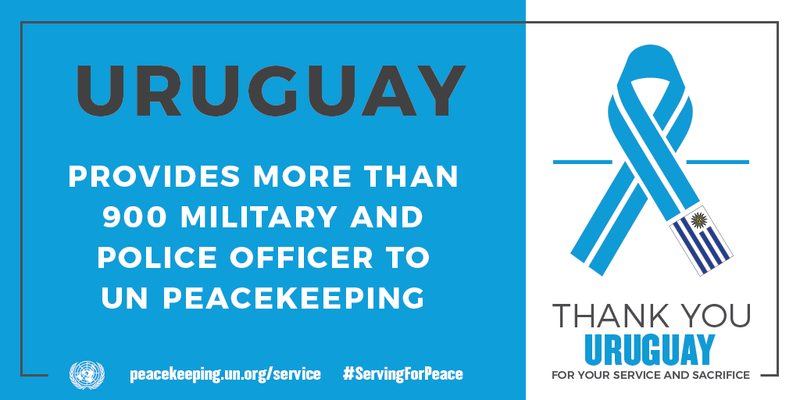 Uruguay’s largest contingent, with more than 900 peacekeepers, is with the UN mission in the Democratic Republic of the Congo (MONUSCO).